“Three Rings for the Elven-kings under the sky, seven for the Dwarf-lords in halls of stone, nine for Mortal Men, doomed to die. One for the Dark Lord on his dark throne in the Land of Mordor where the Shadows lie. 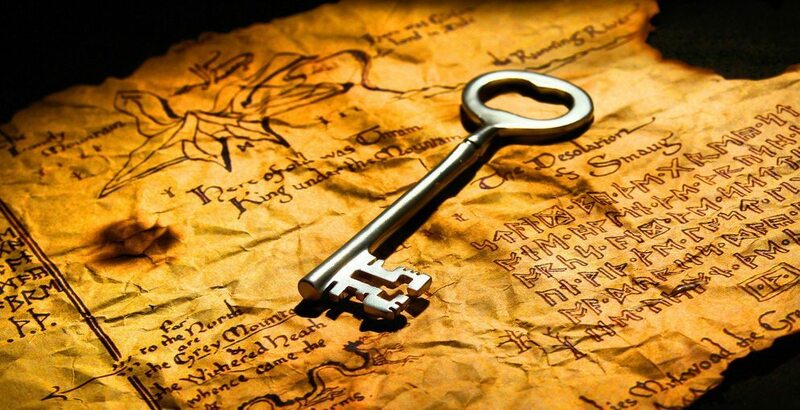 One Ring to rule them all, one Ring to find them, one Ring to bring them all and in the darkness bind them.” ― J.R.R. Tolkien, The Lord of the Rings. The Lord of the Rings is that rarest of things: a piece of fiction as fun as it is deep, and as moving as it is wildly entertaining. It’s perhaps for that reason, beyond anything else, the series has had such monumental impact on the hearts of fans… as well as its outsized influence on fantasy fiction for the past 60-odd years. 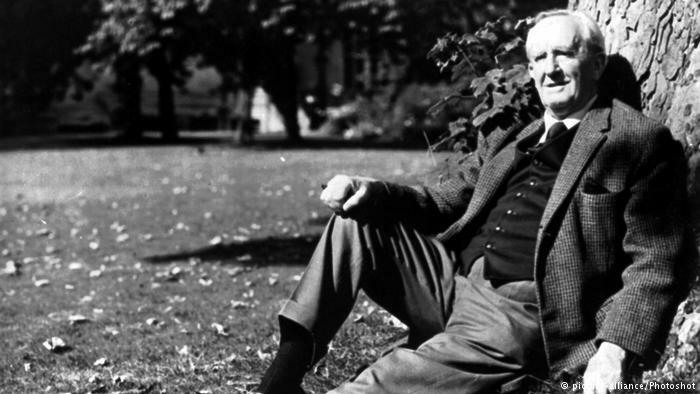 But Tolkien didn’t just set out to tell a genre-defining story—as much as anything else, the author wanted to build a world. At that, he truly excelled. The LOTR series is littered with information that alludes to a story going back hundreds and hundreds of years. So, if there’s anything more alluring than the One Ring itself, it’s fun facts about the series! Here are all of our favorites: drawn from the movies, books, and lore. Now pick up half a day’s worth of popcorn, and check to see if I’m right. I’ll wait until you get back. According to a regulation from the International Astronomical Union (yep, that’s a thing), all mountains on Saturn’s largest moon, Titan, will be named for mountains from The Lord of the Rings. So when humans finally colonize the stars, we’ll be able to shoot the sci-fi remake of the LOTR trilogy on Mount Doom itself. 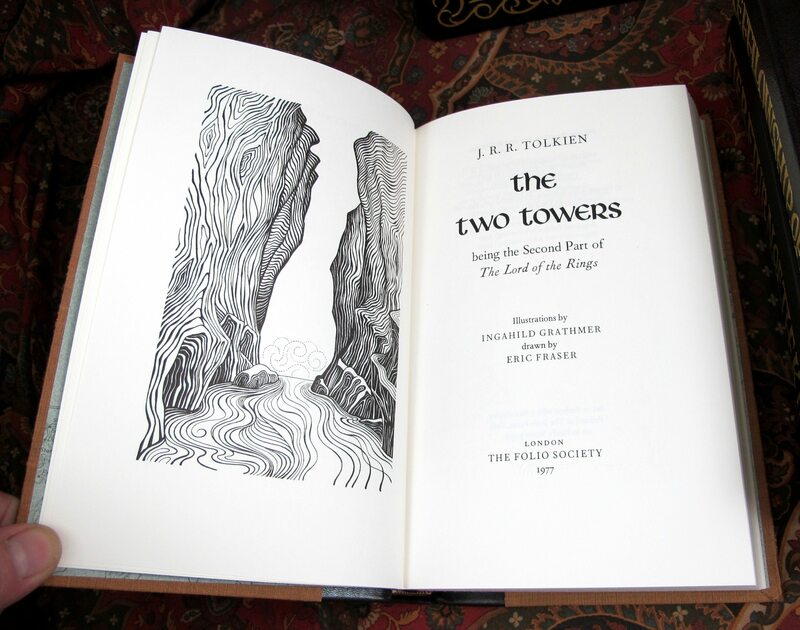 Tolkien typed all 1,200 pages of The Lord of the Rings with two fingers. Next time someone says you’re not typing right, you know how to respond. 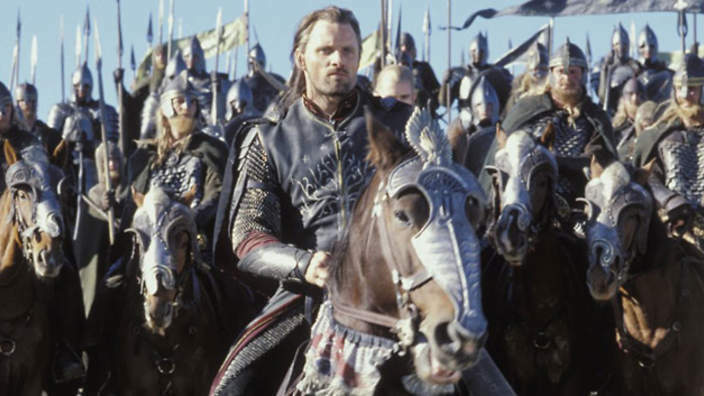 The production team needed so many extras to shoot the Battle at the Black Gate (near the end of The Return of the King), they called in members of the New Zealand Armed Forces. You’d think a mock-battle might mean nothing to a group of professional soldiers… but you’d be wrong. The real-life army men were so excited to be there, they kept breaking the props given to them to use in-scene. 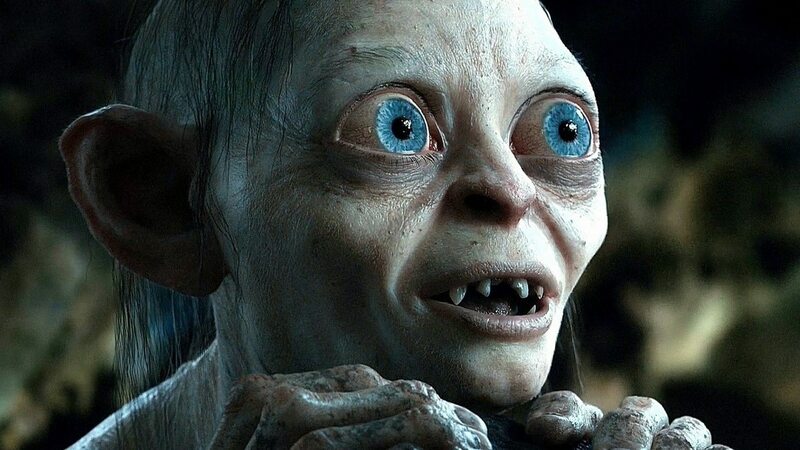 Tolkien originally wrote Gollum as a kind figure, who offers Bilbo the ring as a prize for solving his riddles (when they first meet in Gollum’s lair in the Misty Mountains). 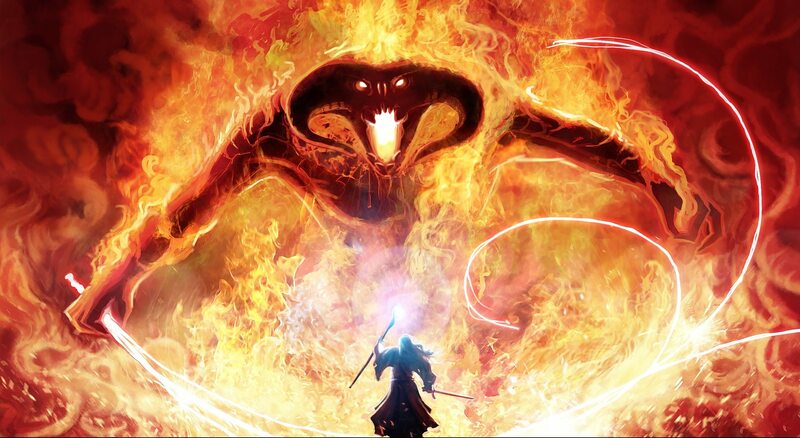 Later when Tolkien began writing successive works, he realized the ring would have to be a more corrosive influence. That being the case, it would no longer make sense for Gollum to give his precious up so easily. So Tolkein re-wrote the chapter. In one of the scenes at Osgiliath, Sam moans, “By rights, we shouldn’t even be here!”. The line was written-in to acknowledge how the screenplay had deviated from the book’s; in the source material, Frodo and Sam never pass through Osgiliath. J.R.R. Tolkien never actually specified how old Legolas is. Not that there aren’t hints though: at one point he refers to Aragorn (87 to start) and Gimli (140) children compared to his own advanced age. He also claims to have watched a hundred oak trees grow—from acorns, to saplings, to a “ruinous age.” English oak trees can live for more than 1,000 years… meaning Legolas could be anywhere from 500 to 2,000 years old. Orlando Bloom looks a bit younger. J.R.R. Tolkien didn’t want the third Lord of the Rings book to be called “Return of the King” because he felt it revealed too much about the story. The title was chosen by the publisher. Rumour has it the original title was Lord of the Rings: The One Where Something Happens That You Won’t Believe, But You Have To Read It ‘Cause I’m Not Telling, by J.R.R. Tolkien. The town of Hobbiton was created a full year before filming of the series began, in order to make it look like it was a real, lived-in place. It was complete with real vegetable patches, and sheep ate the grass to keep it short. CGI might have been easier, but nothing beats the real thing. 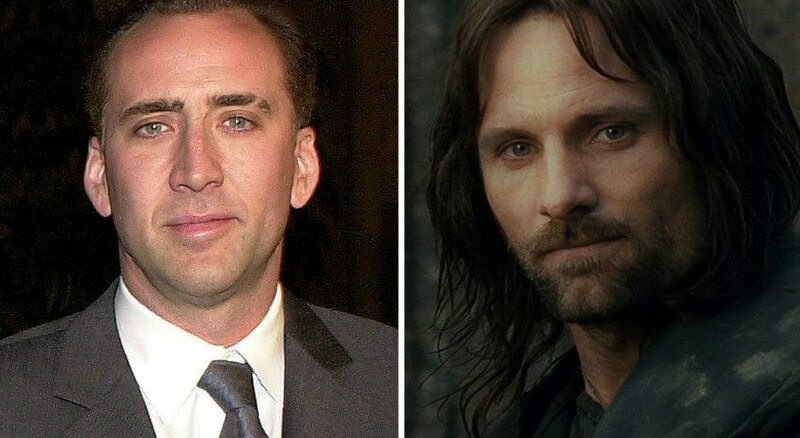 Nicolas Cage was supposed to play Aragorn, but passed up the part due to “family obligations”. We’re not saying it would have been better or worse. Just, you know… different. 12. The coolest thing anyone could ever say about anyone? Olympic fencer Bob Anderson choreographed the fight scenes in The Lord of the Rings. Anderson, who has trained professional fencers and also did the choreograph for Star Wars, said that Viggo Mortensen (Aragorn) was the best swordsman he ever trained. Maybe they should have had Nic Cage duel him for the role? And after all that, the guy is pretty dang humble. 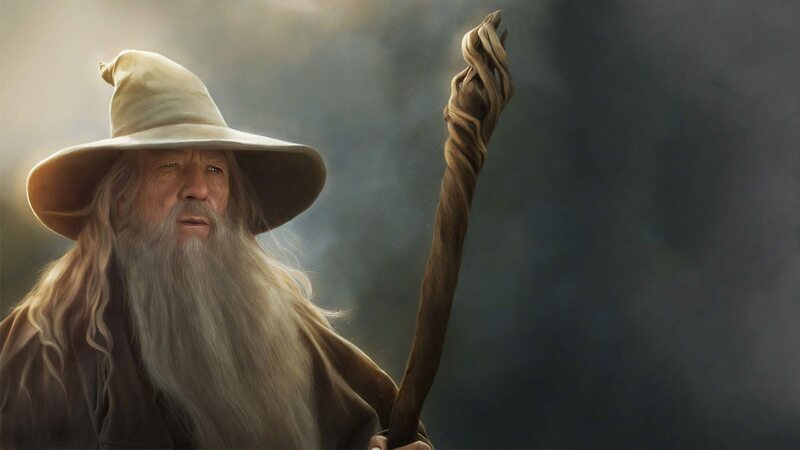 A lot of people would go from Gandalf the Grey to Gandalf the White and get all “I’m way too cool for you now.” But not Gandalf. He still hangs with all his old friends, and by all accounts is a super cool guy. Peter Jack is afraid of spiders—which is an affliction which almost never comes in handy. But when it came to producing the design for Shelob… Jackson’s phobia was his Sting. 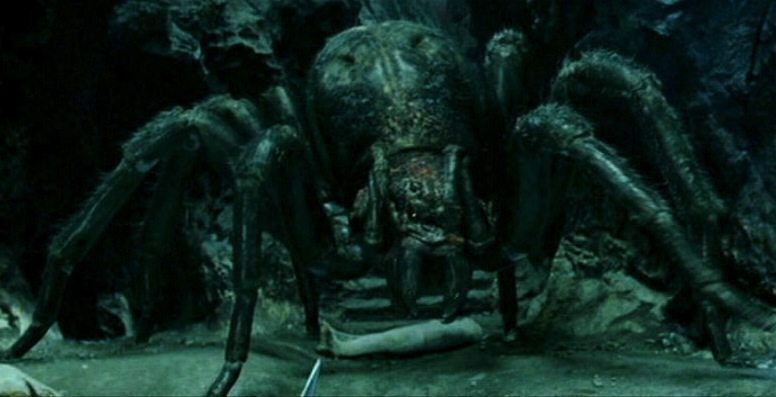 The director claims that Shelob’s look was heavily influenced by all the spiders he finds most terrifying. Which apparently means 15-foot tall nightmare monsters, with poisonous fangs and a taste for people. 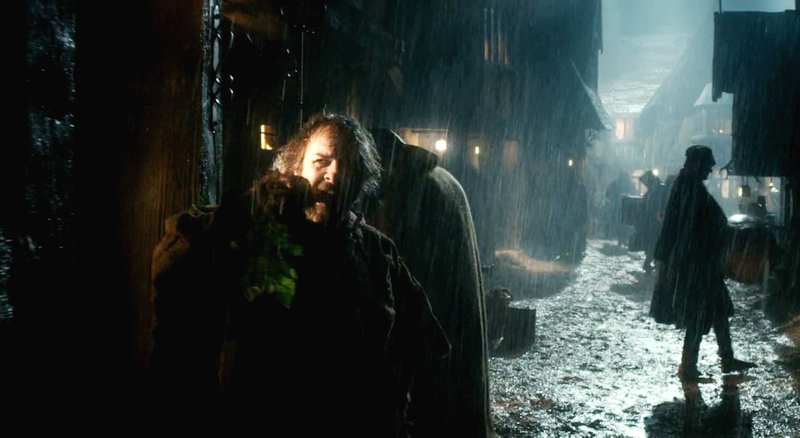 John Rhys-Davies, who plays Gimli, is the tallest of any of the actors in the fellowship. 16. Burn it! Burn it with fire! 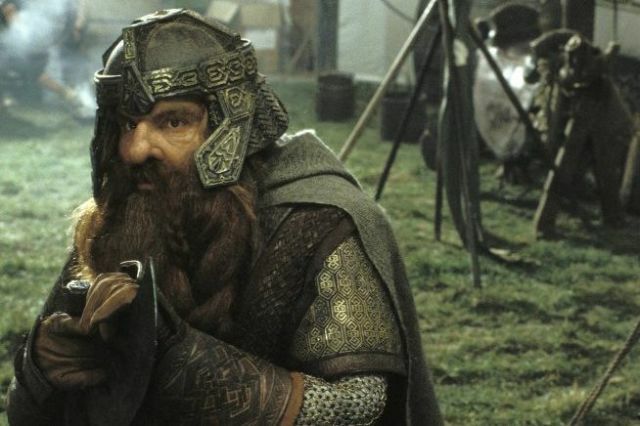 His height wasn’t the only thing production had to change: Rhys-Davies also spent hours in the makeup chair each day, getting Gimli’s mountain-man look just right. He often suffered from rashes from the irritation. 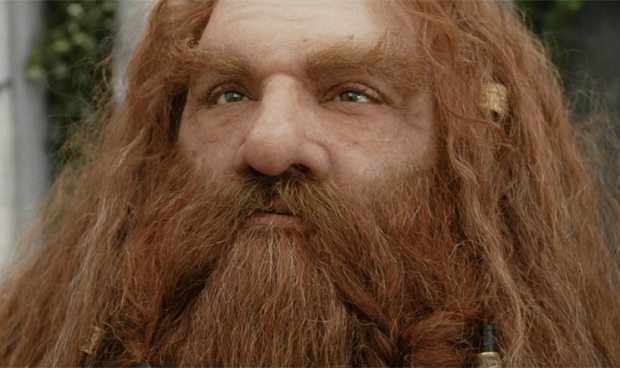 Finally, after shooting his final scene, the makeup department gave him permission to throw the Gimli mask into the fire. And he did. After being corrupted by the ring, Gollum’s body rejects anything Elven-made. One example is the rope used to restrain him in The Two Towers, as well as lembas bread Frodo and Sam eat on their way. 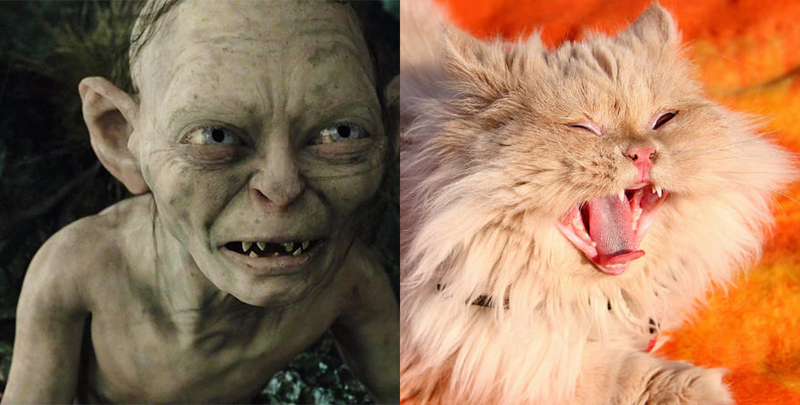 Andy Serkis, who played Gollum using motion capture, said he based the wretched creature’s coughing on sounds his cat made… when coughing up a hairball. The queen of Denmark illustrated the Danish edition of The Lord of The Rings under the pseudonym Ingahild Grathmer. 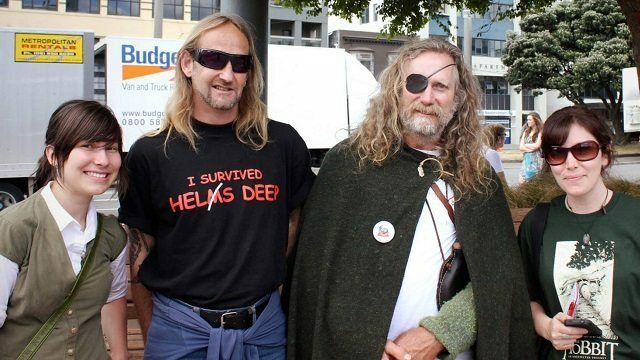 A beautiful story emerged from the Battle of Helm’s Deep. During the battle, a one-eyed man turns toward the camera revealing an empty eye socket. The actor who played him showed up to set wearing an eye patch. 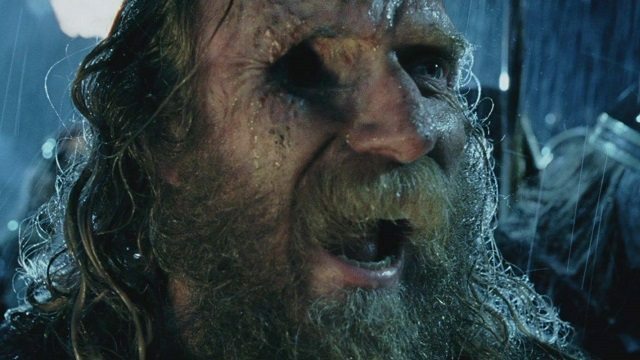 When Peter Jackson learned of the actor’s condition, he was asked if he would be interested in appearing in the film without the eye patch. The actor was reluctant at first and rather self-conscious, but afterward claimed the experience on set made him more comfortable with himself. The scene where Aragorn’s army attacks the Black Gate was shot in a desert that the New Zealand army trains in. The field was still littered with mines and other bombs that hadn’t been detonated, so the army had to do a sweep with metal detectors to make sure everyone was safe to film. If they left the mines, they probably would have defeated the orcs a lot faster. 18. A lot of dead extras. 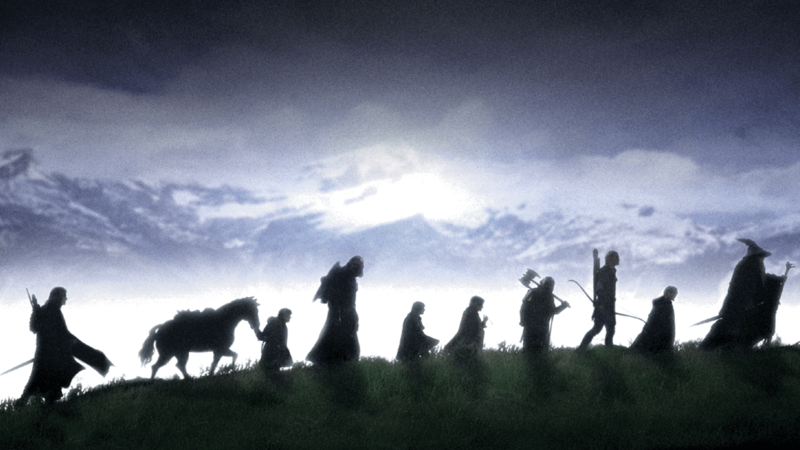 At the time of its release, The Return of the King set the record for highest human body count in any movie. The total number of corpses? 836. In an estimation, Viggo Mortensen says he “killed” every stuntman on the production team at least fifty times each, over the course of filming of the trilogy. If only Legolas and Gimli knew. The whole time they were counting kills, Aragorn was busy beating them all along. That’s not fair! 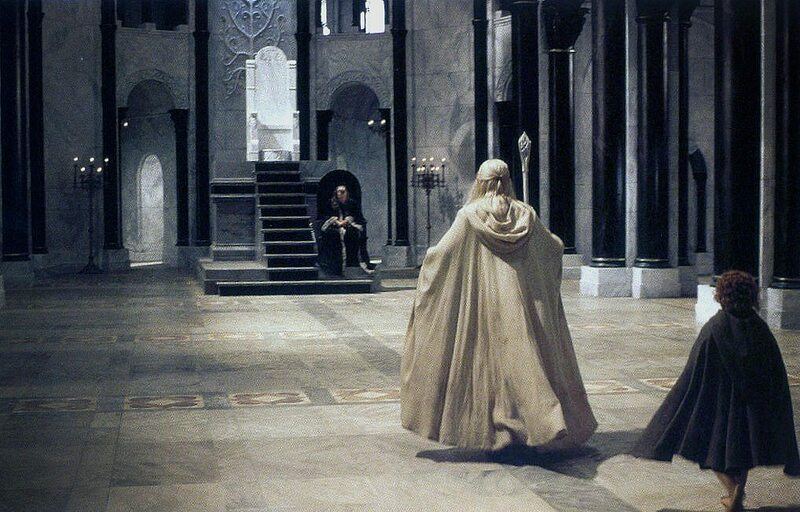 When the Return of the King was first released in 2003, the average major motion picture would consist of about 200 shots containing special effects. Meanwhile, RotK alone had 1,488. The last day of shooting of the trilogy happened over a month after the final film was released in theatres… and three weeks after the 2004 Academy Awards. Peter Jackson wanted to film one last shot of skulls on the floor in the Paths of the Dead (which is used in the extended edition). Jackson found it funny to be filming a movie that had already won Best Picture. Those that lost probably didn’t find it quite as funny. Elijah Wood has a special (some might say weird…) talent for not blinking. Which probably saved the VFX department a couple nickels, when editing the scenes in Shelob’s lair. No CGI here. Elijah’s eyes are just incredibly dry. 23. What about 16th breakfast? 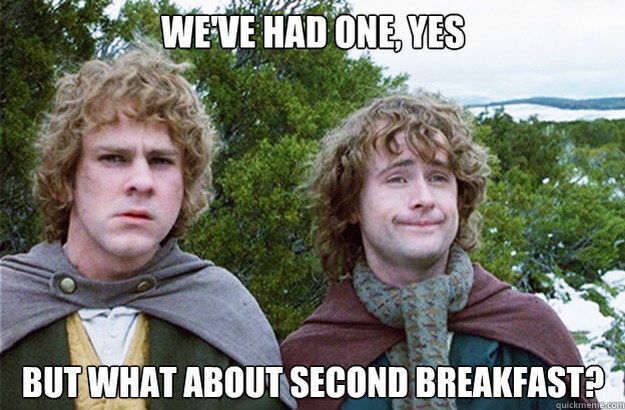 You know the scene: Pippin asks for second breakfast (and immediately becomes the Patron Saint of every college student ever). Seconds later, he’s belted in the head with an apple. Well turns out the apple was being thrown by none other than Viggo Mortensen himself. They had to film the shot 16 times to get it just right, and actor Billy Boyd says he believes Mortensen loved each take. 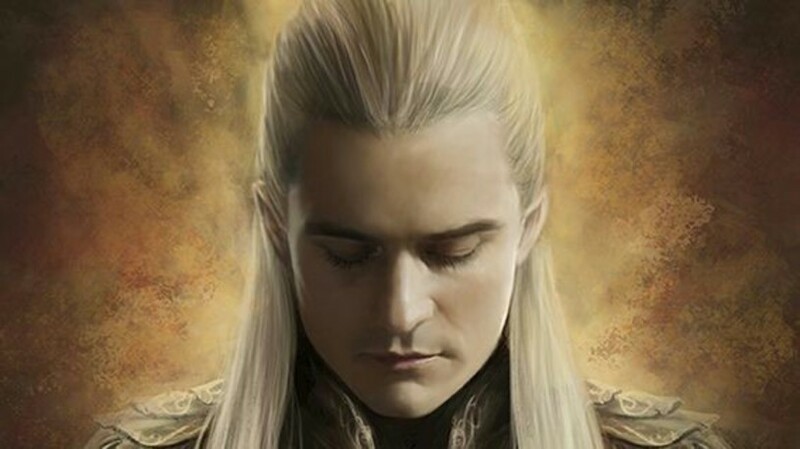 Legolas is a Sindarin Elf, and though we know nothing of his mother, his father Thranduil is the King of the Elves of Northern Mirkwood. Legolas’s surname is Greenleaf. 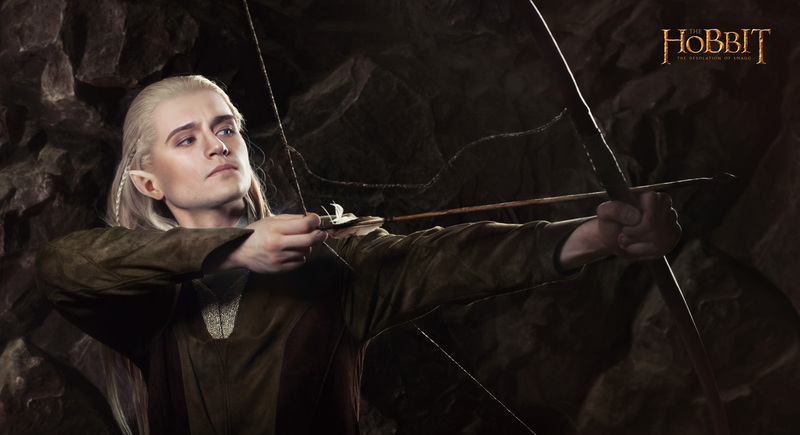 While Legolas is one of the most beloved characters in The Lord of The Rings, most fans don’t realize he almost wasn’t in the Fellowship of the Ring at all, and was instead replaced by another elf. That’s right, in early drafts Tolkien had that space filled by a different Elf, Glorfindel (which isn’t quite as catchy). Tolkien changed his mind during the final draft. Because sleep isn’t really a necessary thing for Elves, Legolas can actually dream while awake. Gollum’s left ear lobe is missing. This is because in the casting of a mould made for Peter Jackson’s approval, an air trap was caught where the lobe should be. When looking at the finished casting, the design team decided it should remain that way. Laziness or a bit of luck-inspired genius? Peter Jackson reportedly hated the Army of the Dead. He thought them to be too unbelievable. However, he kept them in the movie because he didn’t want to disappoint diehard fans of the novels. 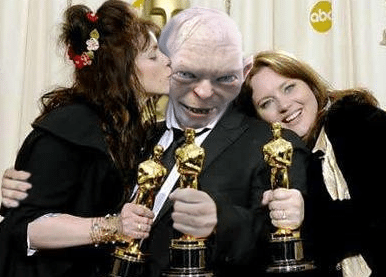 The opening scene of The Return of the King, which shows Smeagol’s fall from grace, was directed by Fran Walsh. It was originally supposed to be in The Two Towers immediately after Gollum’s name was revealed. 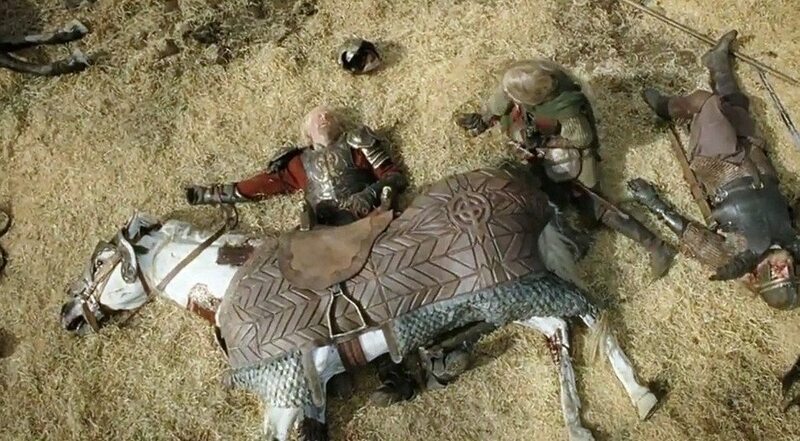 One of the shots filming the charge of the Rohirrim (riders of Rohan) includes a horse rider who falls off the back of his horse. Miraculously, every horse that came behind him managed to either miss or avoid him, and he was left uninjured. WETA digital effects company had to add an additional room to its effects facility to store all the computer equipment it needed to render the battle scenes for the trilogy. Peter Jackson hadn’t seen the completed cut of The Fellowship of the Ring, from the start through to the finish, until he was siting with audience at the premiere. 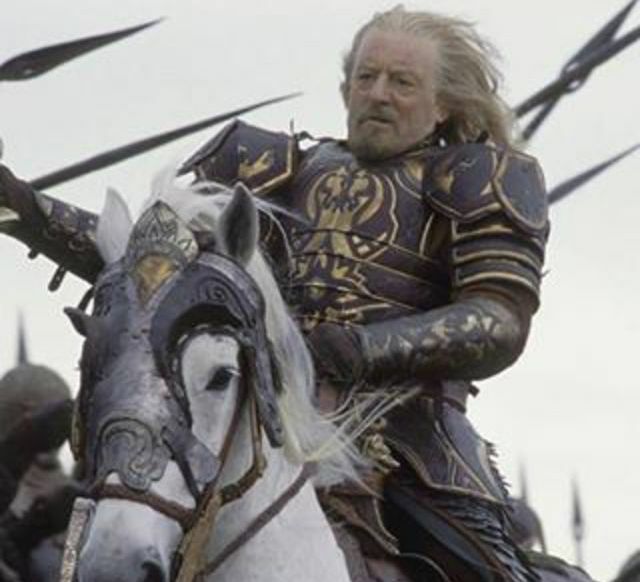 When filming the Charge of the Rohirrim, it was Bernard Hill’s (Theoden) idea to touch the spears of all his soldiers before riding into battle. 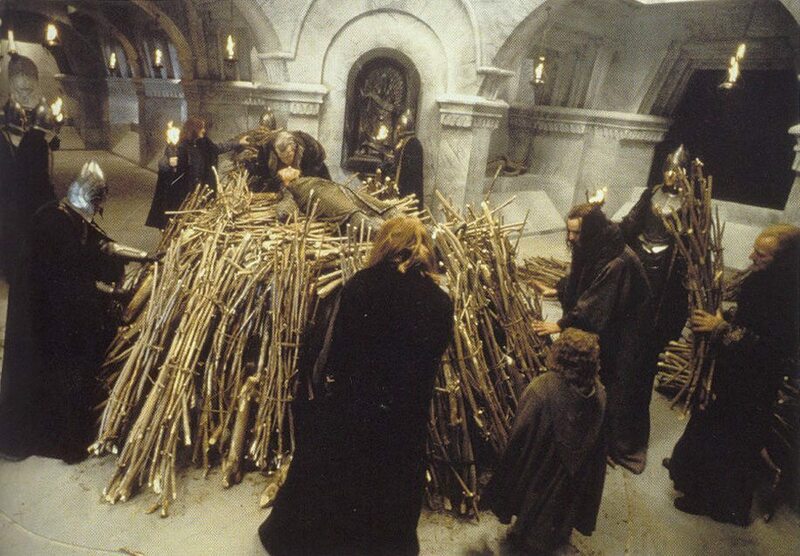 The oliphaunt carcass used in The Return of the King is on record as the largest prop ever built for a movie. But even that was apparently not enough; Peter Jacksonstill maintains that it could have been even bigger. I say he should try the whole thing again. In case you were wondering, the Shelob’s shriek is made up of several different sounds including (but not limited to) a plastic alien toy, steam hissing, and the shriek of a Tasmanian Devil. What you do with that information is your own prerogative. 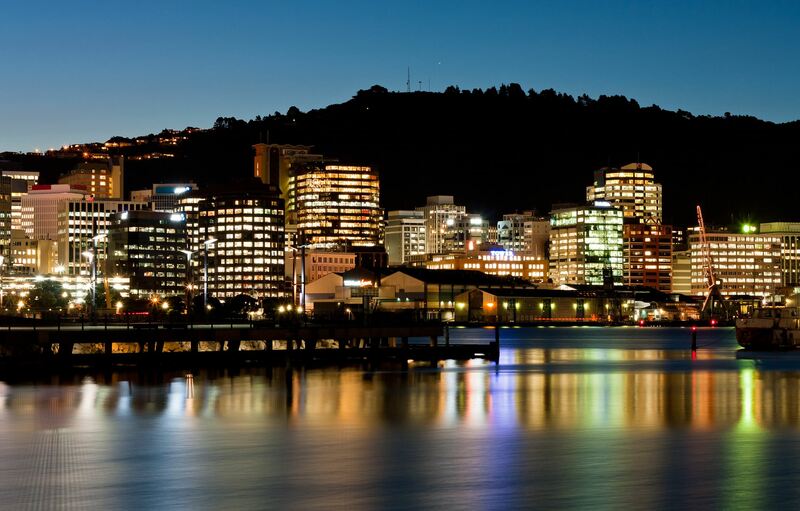 When the The Return of the King premiered, the City of Wellington held an all night party… funded by City Council for an estimated $400,000. On the downside, there were almost zero 111-year-old hobbits, but the party wasn’t a complete wash: among the festivities were street performers, outdoor screenings and a giant mock-up Nazgul that flew over the Embassy Theatre. Well, you might say, a Nazgul and some street performers is all well and good, but how many people actually show up to a part in Wellington. It turns out the answer is about 100,000 people… or a quarter of the city’s population. That’s a lot of Kiwis. When filming the Battle of Pelennor Fields, Miranda Otto (Eowyn) had to go through many fittings before production settled on a helmet that disguised her face, yet also revealed who she was to the audience. The final result? Well worth it. The Battle of Pelennor Fields was filmed on a large field that was the home to many rabbits resulting in rabbit holes covering the whole terrain. 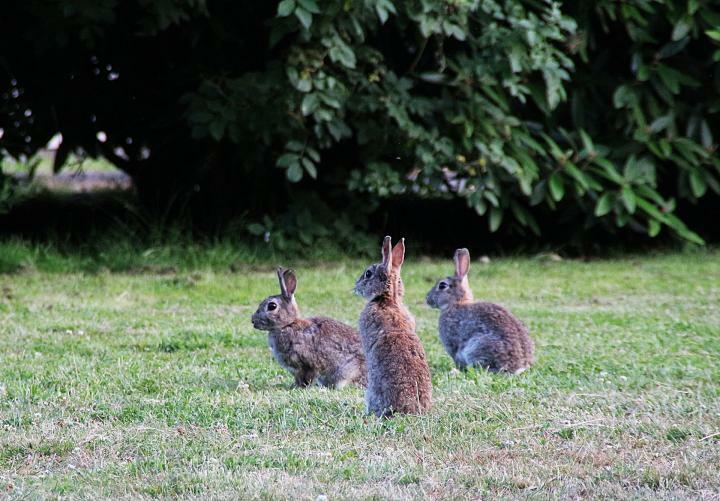 In order to keep horses safe, the entire field was searched and the rabbit holes were filled in. Sometimes what looks like awful CGI is really a clever detail. 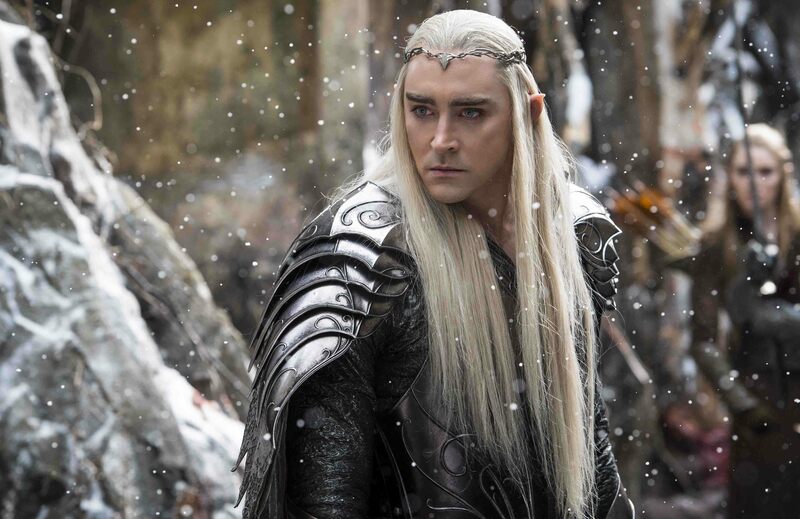 Elves don’t sink in snow, leaving Legolas to skip across the tundra (while his friends toil in the snow). There’s no better example of this on-screen then Redhorn Pass sequence, when the Fellowship is beset by a magically-induced blizzard. The scene in which Billy Boyd (Pippin) sings over Faramir’s charge to Osgiliath happened mostly because screenwriter Philippa Boyens went to a karaoke bar with some of the cast, and was particularly impressed by the quality of Boyd’s voice. 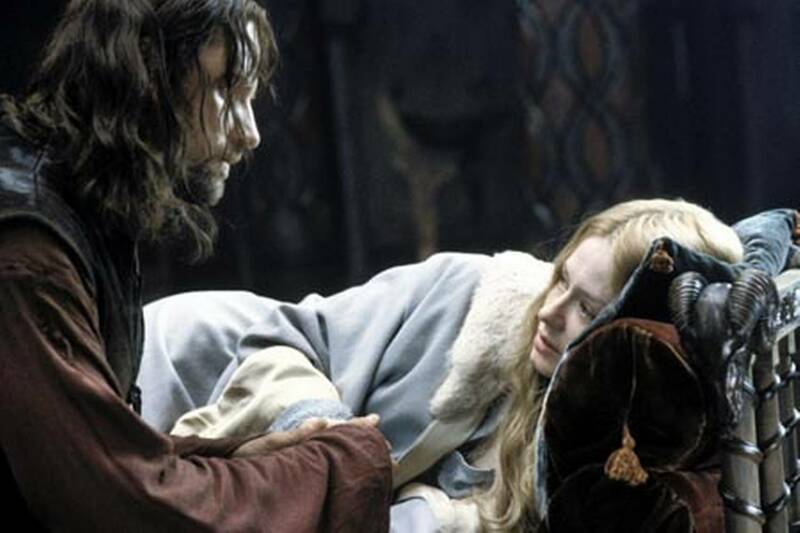 She remembered that Denethor asks Pippin to sing him a song in the books and gave Boyd the lyrics from the novel, leaving him the task to come up with a melody. The Rohanese (Rohanian? Rohwegian?) army is made up of hundreds of extras from New Zealand, who responded to an open casting call. The stipulation? Anyone who wanted a place had to know how to ride a horse. Many of the successful candidates were women, who were obliged to dress as men for their moment in the sun. The only woman in the Rohirrim is Eowyn… couldn’t have the extras stealing her spotlight! 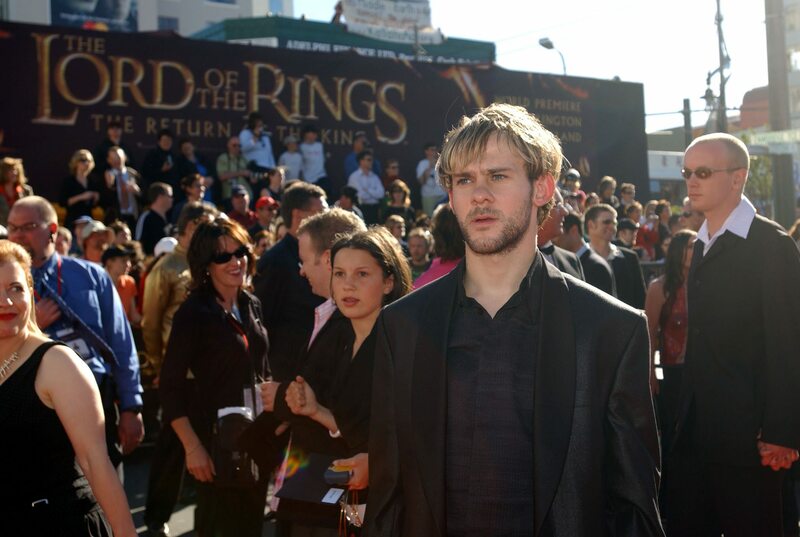 When Merry and Pippin are smoking pipes at Isengard, Dominic Monaghan (Merry) had to drink milk before filming to keep from throwing up while smoking. Drinking milk as an antacid must be the opposite of lactose intolerance. When the dragon firework goes off at Bilbo’s birthday party, the shriek heard is Pippin actor Billy Boyd screaming. He didn’t know that the firework was really going to blow up on set (he thought it would be put in with CGI). It was not scripted, but ended up in the final film because it sounded so real. 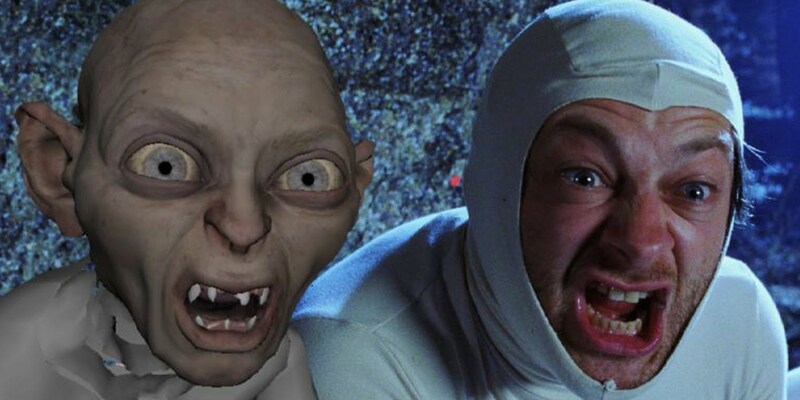 Andy Serkis wasn’t the first choice to play the real Smeagol in the opening scene. But once people started auditioning, they quickly realized that Serkis was the only man for the job. The opening scene of Smeagol’s fall from grace had to be touched up. Thomas Robins (Deagol) blinked after his death by accident, but Peter Jackson loved that take so much that he had the WETA Digital crew “freeze” the eyes. Another touch up: When Smeagol falls on the rocks (before Gollum starts to narrate) the show had to be edited because Andy Serkis’ legs seemed too muscular and athletic. 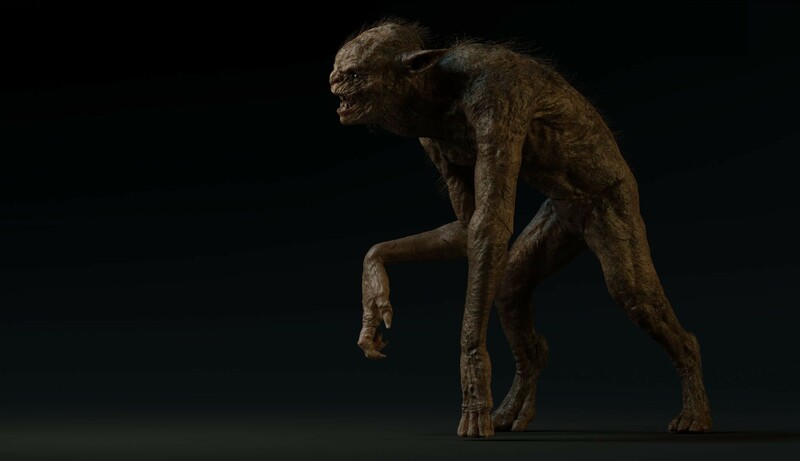 Tolkien reportedly based aspects of Gollum’s character on that of Grendel from Beowulf. Grendel is another figure who lives in a world called “Middle Earth.” While Grendel is a direct descendant of Cain, the biblical figure who killed his brother, Smeagol killed his cousin to acquire the ring. Like Smeagol, Grendel’s body became monstrous over time, while also granting him a lengthened lifespan and increased strength. Tolkien also wrote a translation of Beowulf (from Old English) that was published in May 2014. 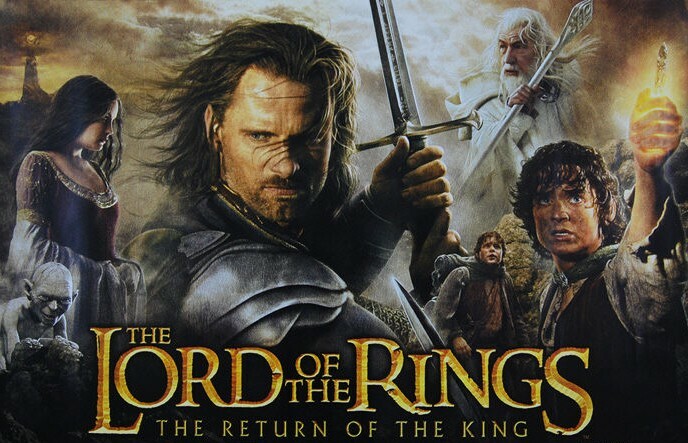 Return of the King may be the most successful film in the franchise, but Viggo Mortensen revealed that the film would never even have been released in theatres if it wasn’t for the success of The Fellowship of the Ring. Mortensen said, “Officially, [Jackson] could say that he was finished in December 2000—he’d shot all three films in the trilogy—but really the second and third ones were a mess. It was very sloppy—it just wasn’t done at all. It needed massive reshoots, which we did, year after year. But he would have never been given the extra money to do those if the first one hadn’t been a huge success. The second and third ones would have been straight to video.” Maybe the should have done the same thing for The Hobbit? 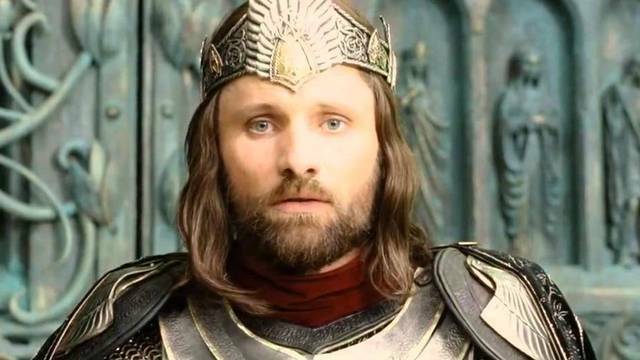 Return of the King made a whopping 1408% profit for New Life Studios at the box office. 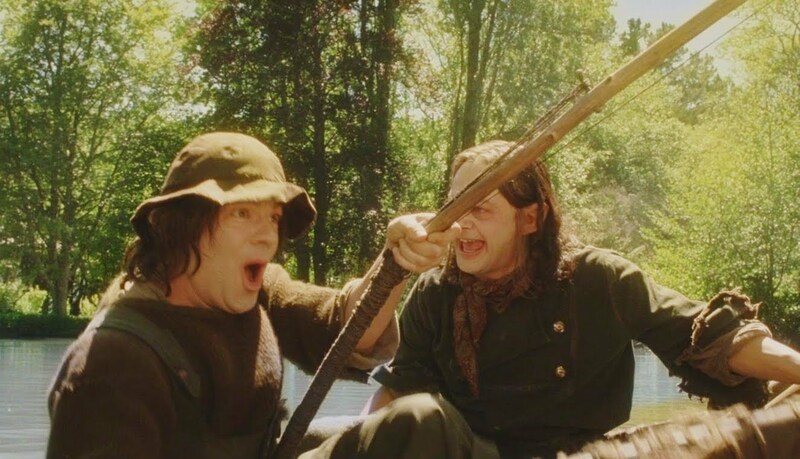 During the shot that Frodo was stabbed by Shelob’s stinger, Elijah Wood actually got stabbed by a prop stinger. Wood mentioned that not only was it extremely painful, but it actually did enough damage to land him in the hospital for a few days. Elijah Wood had to be wrapped in a latex-esque material when he was in Shelob’s webbing. In a few of the DVD extras, Wood jokes it was like being filmed in “the world’s largest condom”. 55. No wings for Sean. 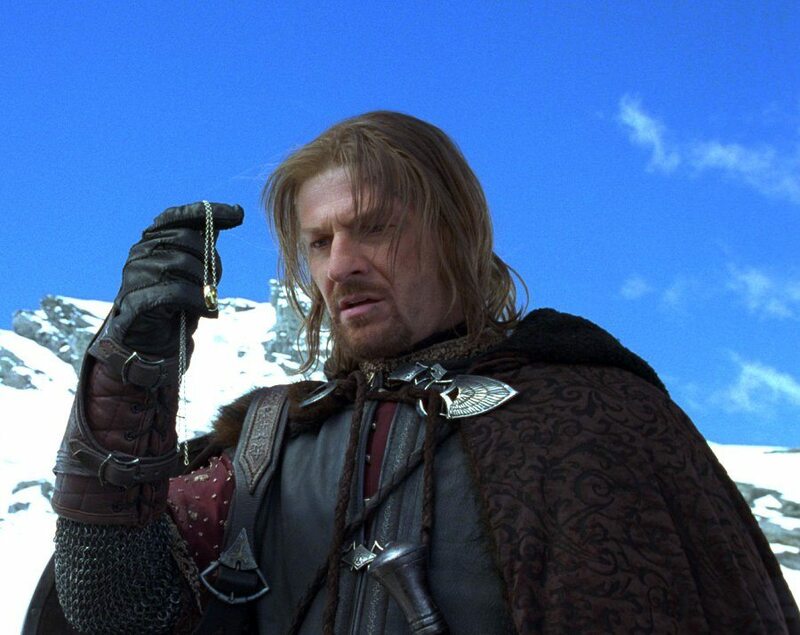 Even for the scenes set on mountains, Bean hiked to set in Boromir’s full suit of armor. 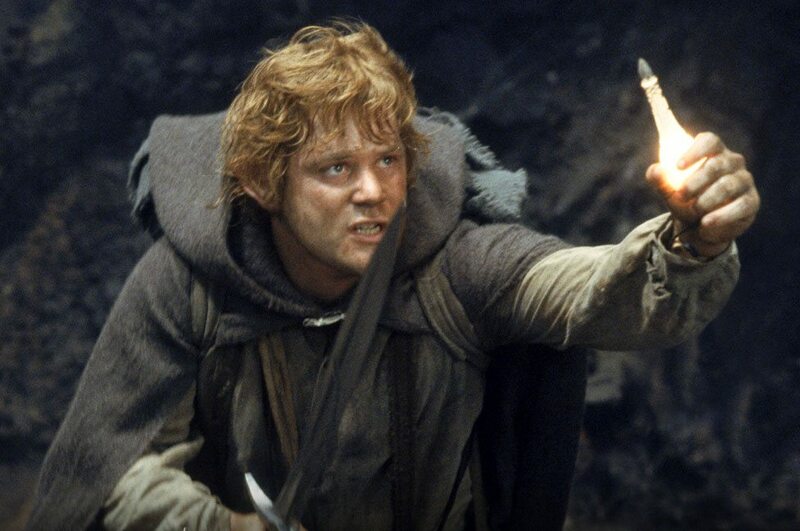 Tolkien considered Sam Gamgee to be the true hero of The Lord of the Rings. Elijah Wood created his Lord of the Rings’ Frodo audition tape in the woods with a homemade Hobbit costume. The members of the fellowship got matching ink. Spearheaded by Viggo Mortensen, they all committed to a small tattoo of the number nine in Elvish to mark their Fellowship. John Rhys-Davies (Gimli) declined to get his, but his stunt double (Brett Beattie) got the artwork instead! 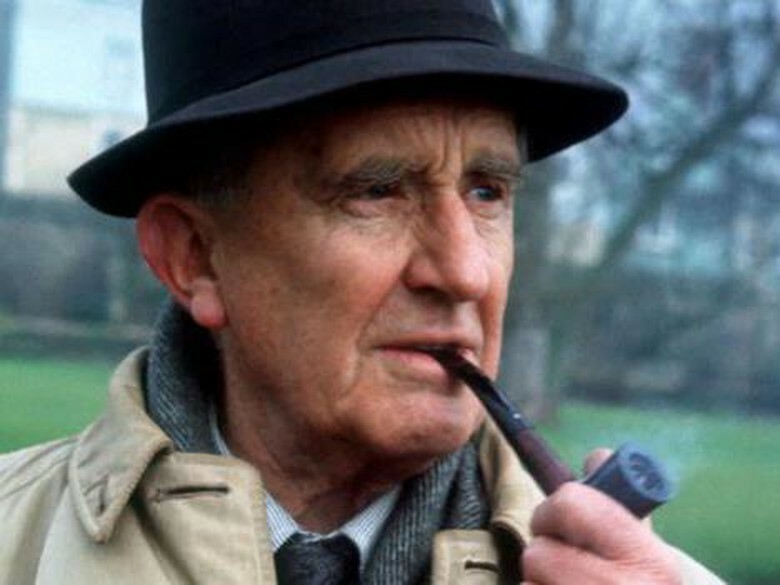 JRR Tolkien’s estate only received $62,500 for the Lord of the Rings film trilogy. That is until they filed a lawsuit, claiming the $150 million owed. The Return of the King came out in 2003, when the memory of 9/11 was still fresh in many people’s minds. So when choreographing the destruction of Sauron’s tower, the creators were careful to make sure it didn’t resemble the World Trade Center attack. 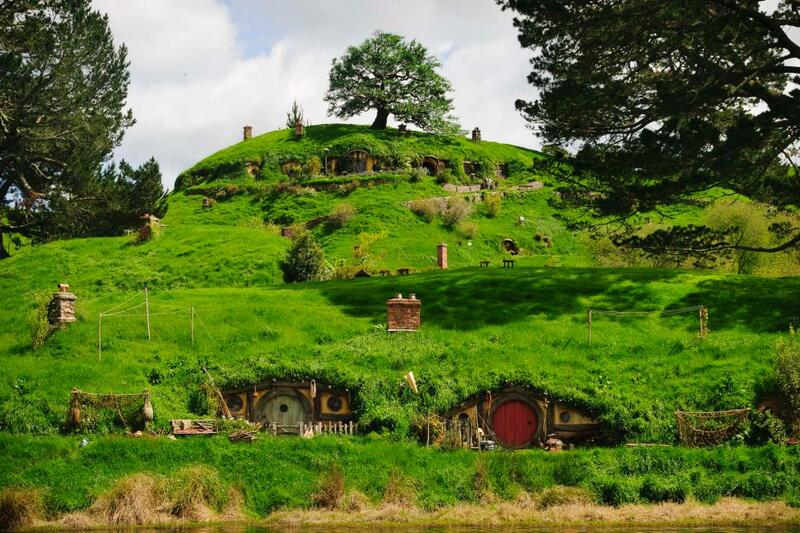 Around 10,000 prosthetic facial appliances, over 3,500 pairs of hobbit feet, 2,500 foam body suits, 1,200 suits of armour, 2,000 weapons and 10,000 arrows were made to film the Lord of The Rings trilogy. 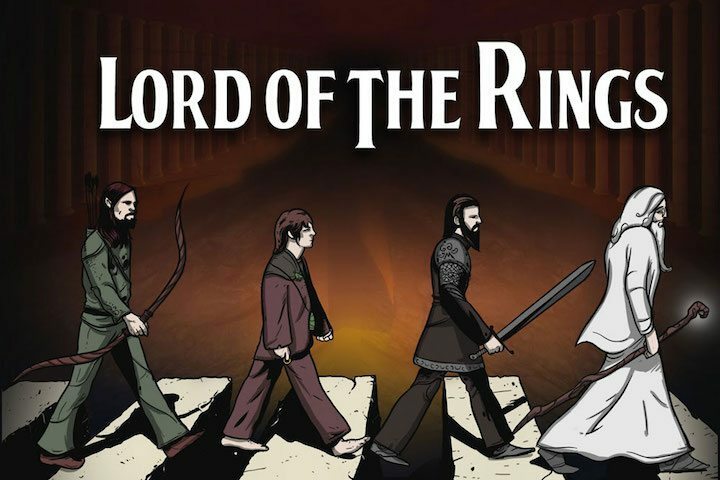 In the 1960’s, The Beatles wanted to make a Lord of the Rings movie adaptation directed by Stanley Kubrick but Tolkien rejected the idea. They had already cast the movie (Paul as Frodo, Ringo as Sam, and George as Gandalf and John as Gollum) when the final nail in the coffin came from Tolkien himself, who said he wasn’t a fan of the collaboration. 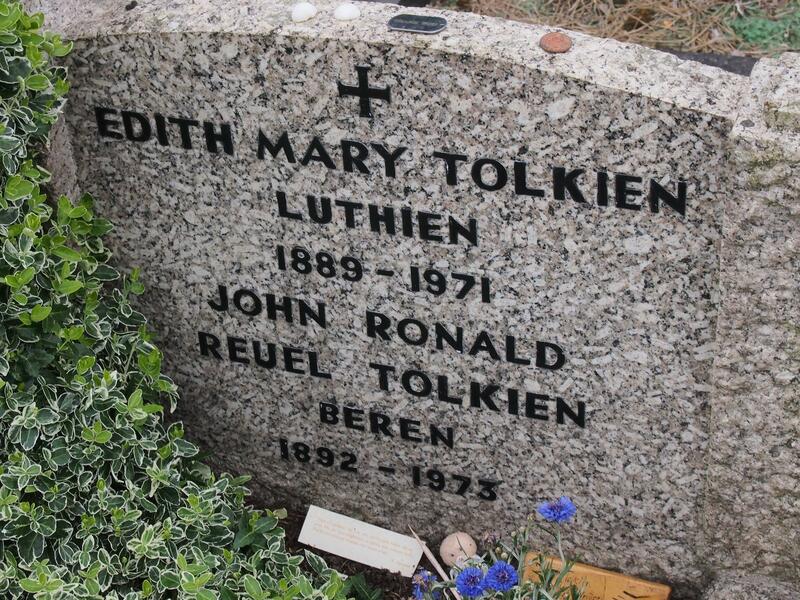 The gravestone of Tolkien and his wife is inscribed with “Lúthien” and “Beren,” who were two tragic characters in The Lord of the Rings. The pair, a mortal man and an immortal elf, were madly in love. 64. We’re taking the students to Isengard? 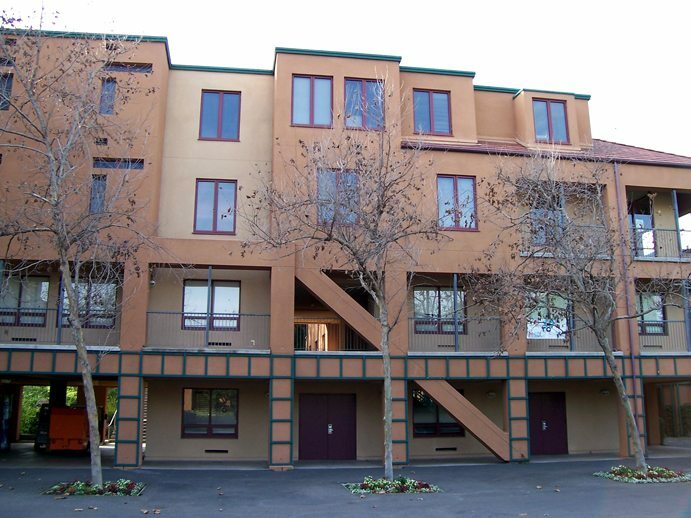 Freshmen at University of California Irvine can opt to live in a dorm named Middle Earth. 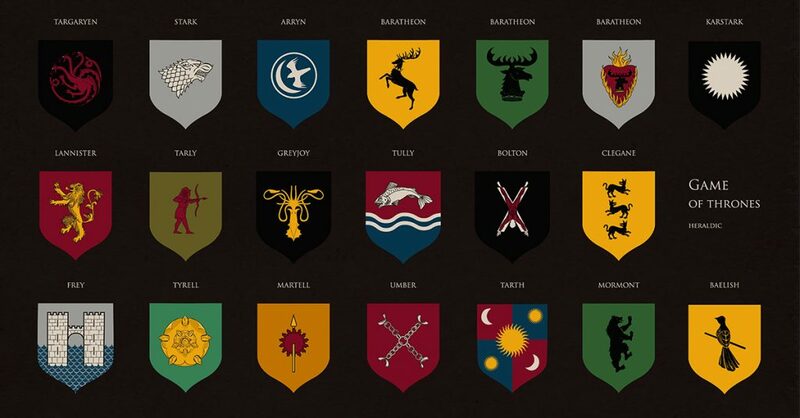 Every hall in the dormitory is named after towns or regions from Lord of the Rings. 65. A wizard is never old. He ages precisely as he means to. 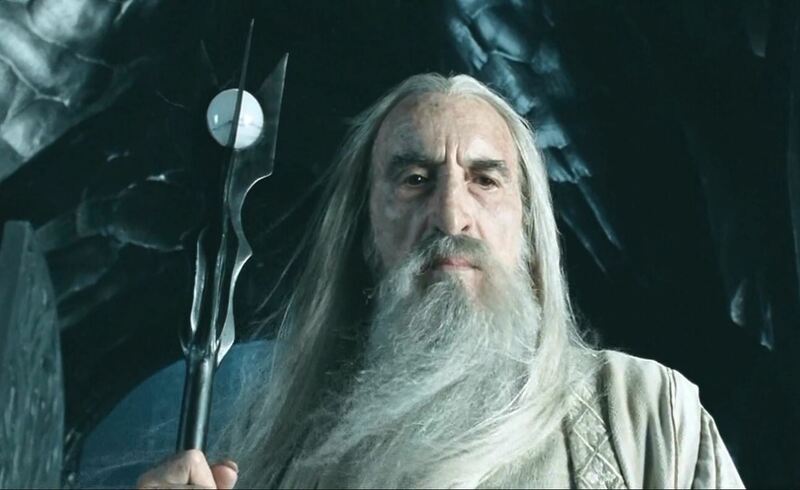 It was Christopher Lee’s lifelong dream to play Gandalf in The Lord of the Rings. He auditioned for the role, but Jackson thought he was too old to handle the fighting scenes. 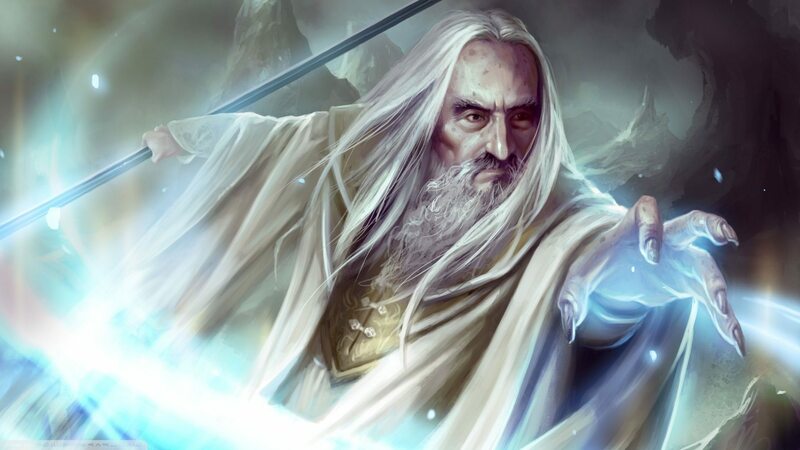 He was given the role of Saruman instead. 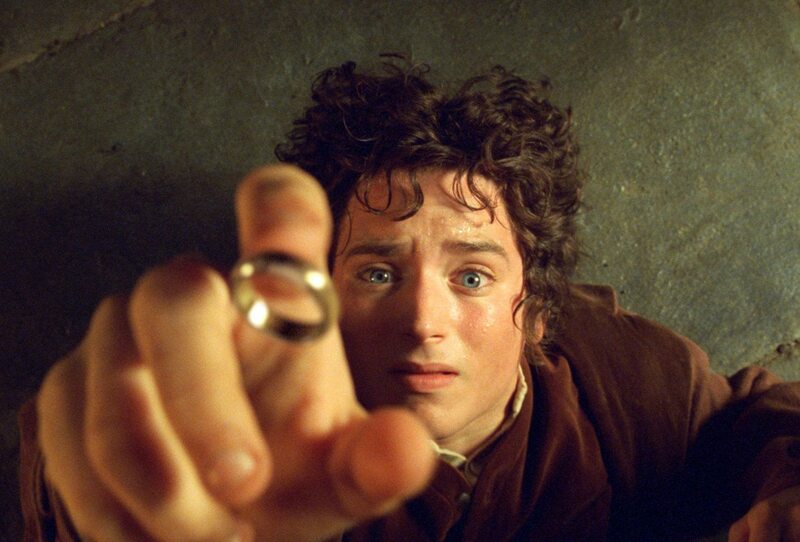 In the book, 17 years pass between the time that Frodo gets the ring and when he sets out on his adventure. In the movie, the ychopped this down to a couple of weeks to keep things rolling! 67. Life is all about who you know! Peter Jackson’s daughter has multiple cameos throughout the movies. She plays a particularly cute hobbit, a Helm’s Deep refugee, and a child in Minas Tirith. Also, Samwise Gamgee’s daughter in The Return of the King is played by his real-life daughter, Alexandra. 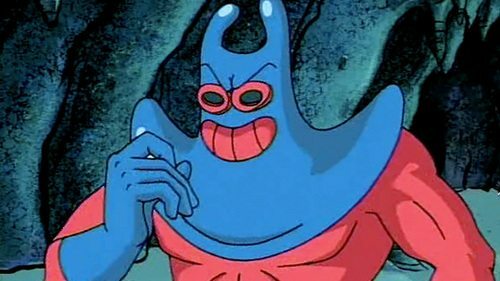 John-Rhys Davies (Gimli) is also the voice of Man Ray on Spongebob Squarepants. 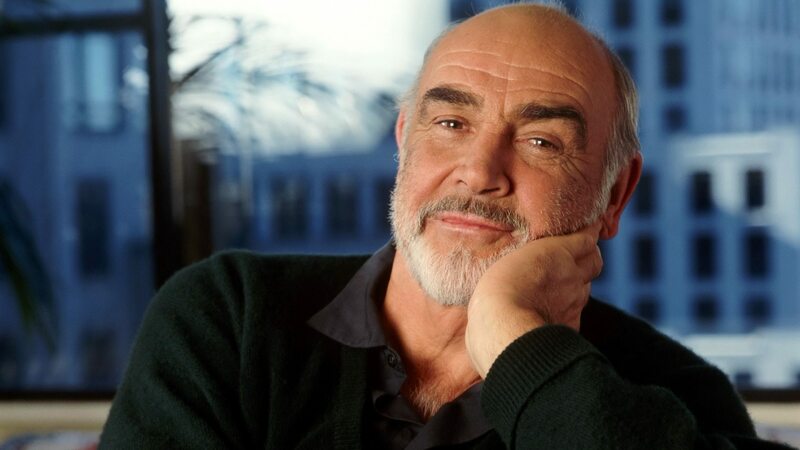 Sean Connery turned down the role of Gandalf in the Lord of the Rings trilogy because he had never read the books and “didn’t understand the script.” He was offered 15% of gross profits, which would have net him about $400 million (more than any other actor has ever been paid for a single role). 70. Fellows from a distance. The cast often had to fly to isolated locations in a helicopter to shoot scenes. Sean Bean had a fear of flying and would only get in the helicopter if there was no other choice. When shooting scenes of the Fellowship where the characters were crossing snowy mountains, Bean would spend two hours each morning hiking from their base camp to the set, all while dressed as Boromir. 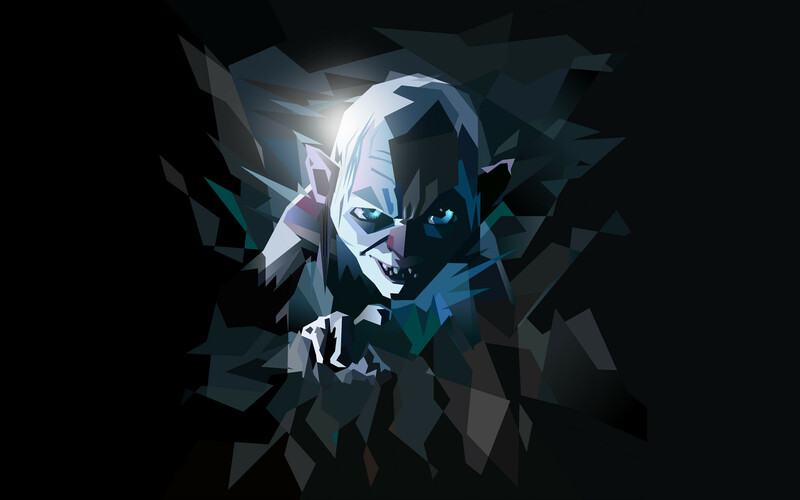 Writer Venkatesh Rao published an article called “The Gollum Effect” analyzing how Gollum’s behavior mirrors that of an archetypal addict who has become a shell of their former self due to their addiction. 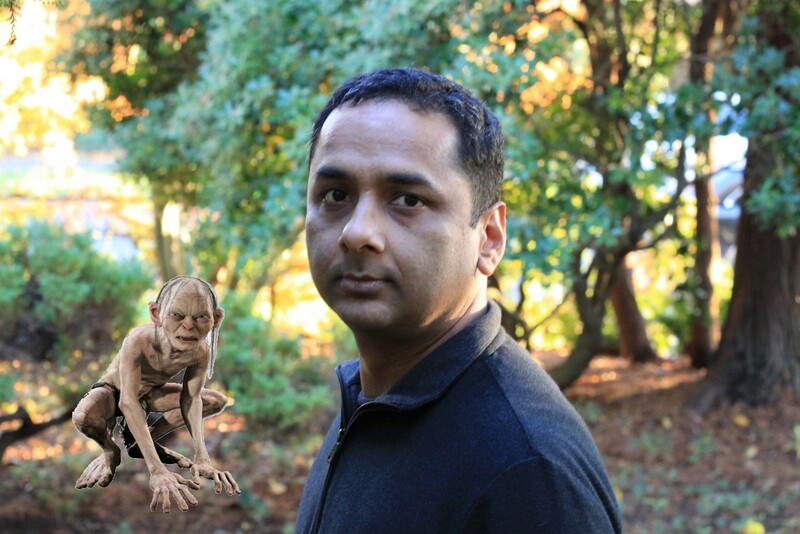 Rao applies this addiction to other figures, and also examines how Gollum is a high-functioning addict since the ring doesn’t kill him prematurely and keeps him functioning enough to be “usefully employable.” Andy Serkis even claims he based Gollum’s desperation on the withdrawal of heroin addicts. 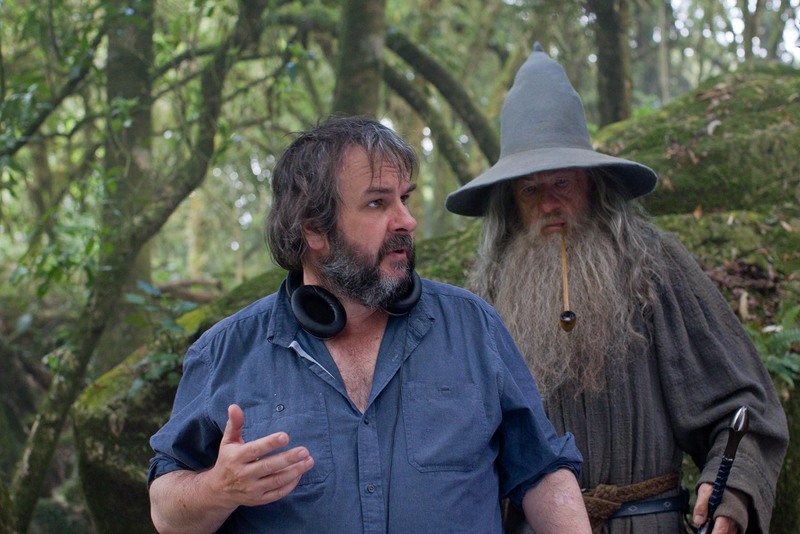 Peter Jackson didn’t spend all his time behind the camera. In The Fellowship of the Ring, he strolls past the camera munching on a carrot in the town of Bree. 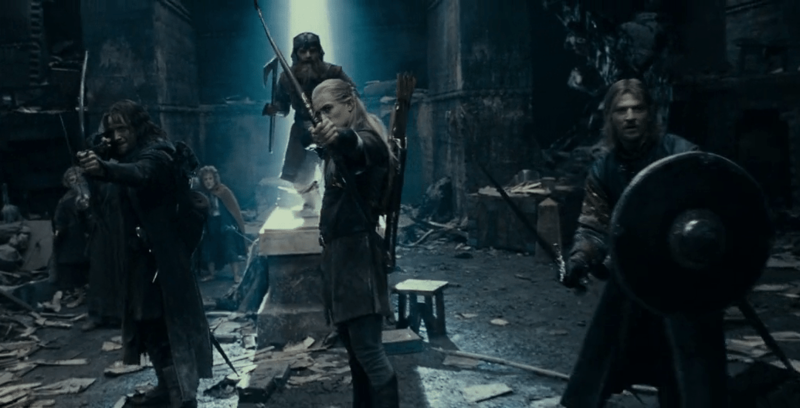 In The Two Towers, he defends Helm’s Deep—we even see him throw a spear at the Uruk-hai. And finally when Sam returns to save Frodo from Shelob, it’s actually the director’s arm that first comes into frame holding Sting. 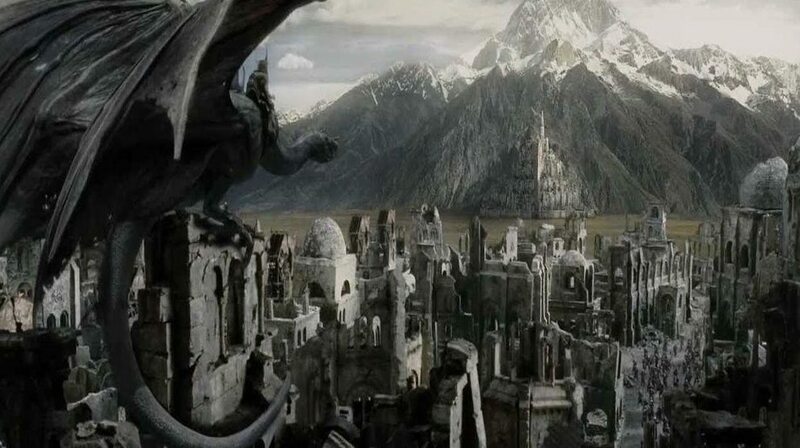 Fans often wonder why the characters didn’t fly to Mordor on the backs of the giant eagles and drop the ring into Mount Doom, but most don’t realize that this actually is explained in the book. The film makers didn’t get into explanation because they thought it was obvious. 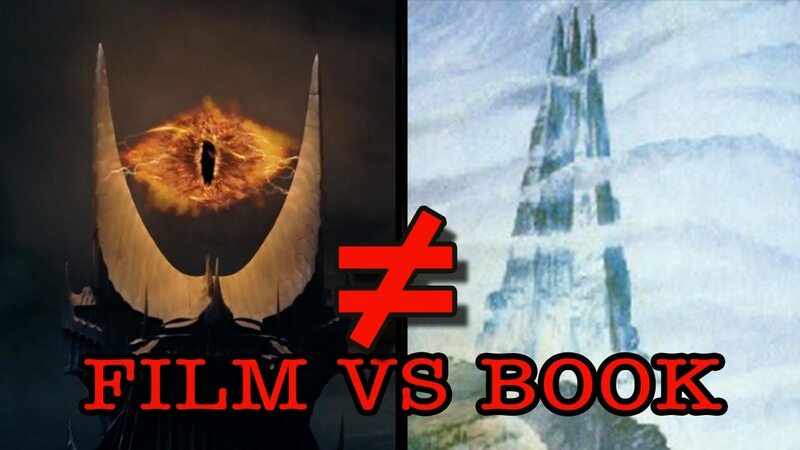 The eye of Sauron was the biggest obstacle, as it would have seen them coming the whole time. J.R.R. 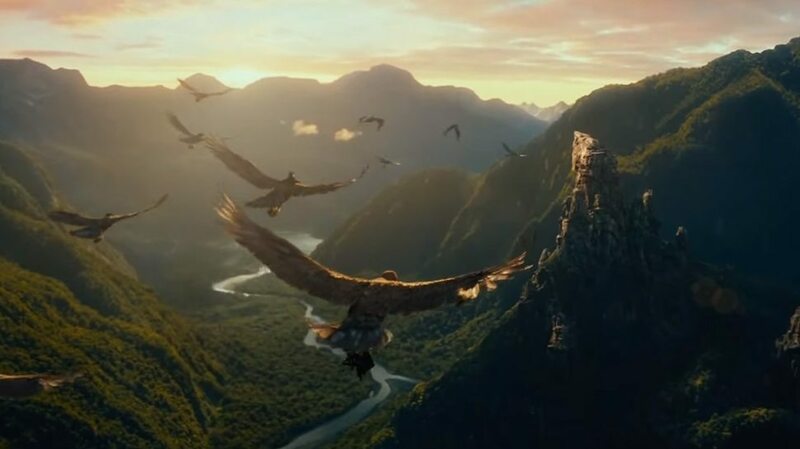 Tolkien vetoed the use of the eagles as they are proud creatures that did not take sides in the War of the Ring until the end. They are basically the Switzerland of Middle Earth. Sean Astin (Samwise Gamgee) was knocked unconscious by a heavy wooden loom on the set of Rivendell. 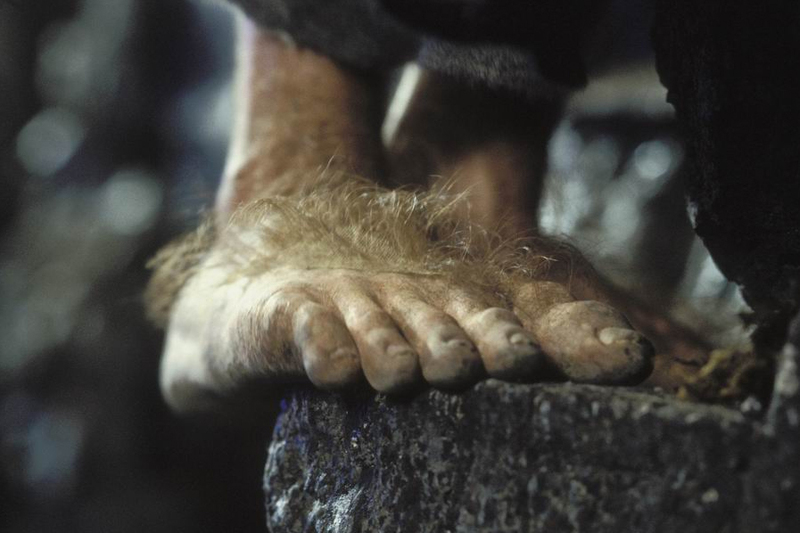 Later, while filming the scene where he rushes into the water after Frodo, he stepped on a piece of broken glass. 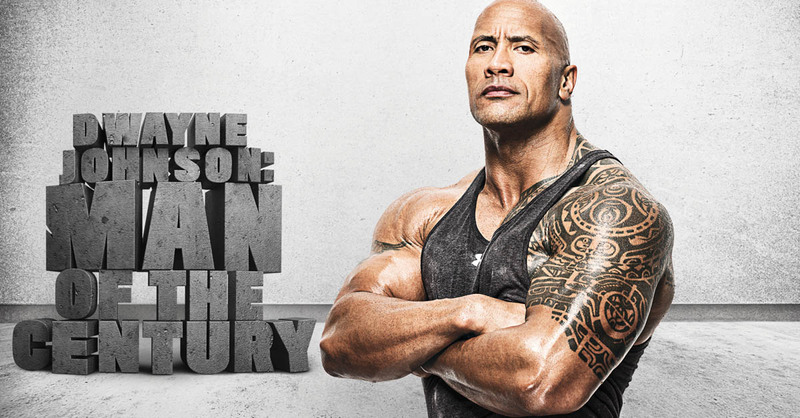 With twenty stitches on his foot, he was back on set in 24 hours. Stories about Viggo on the set of The Lord of the Rings are legendary. 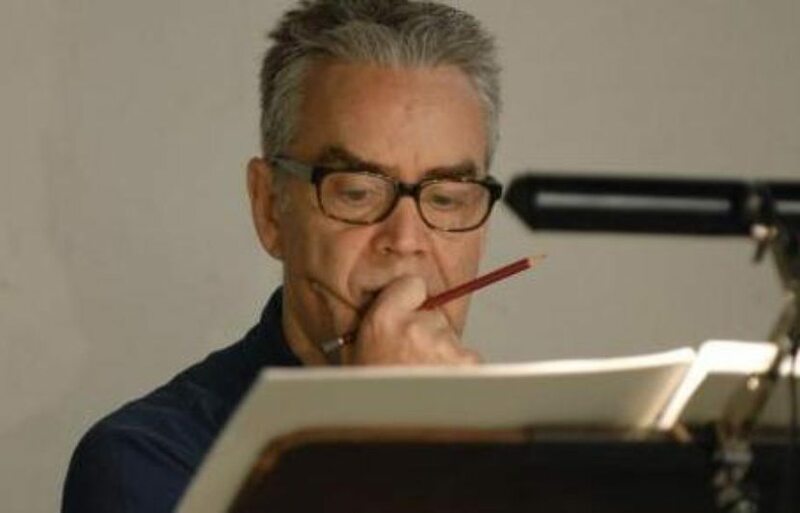 The Danish actor (and painter, and poet, and musician) isn’t just a talented swordsman. He also learned to speak Elvish for the films, making it his sixth language—he also speaks English, Danish, French, Italian and Spanish. 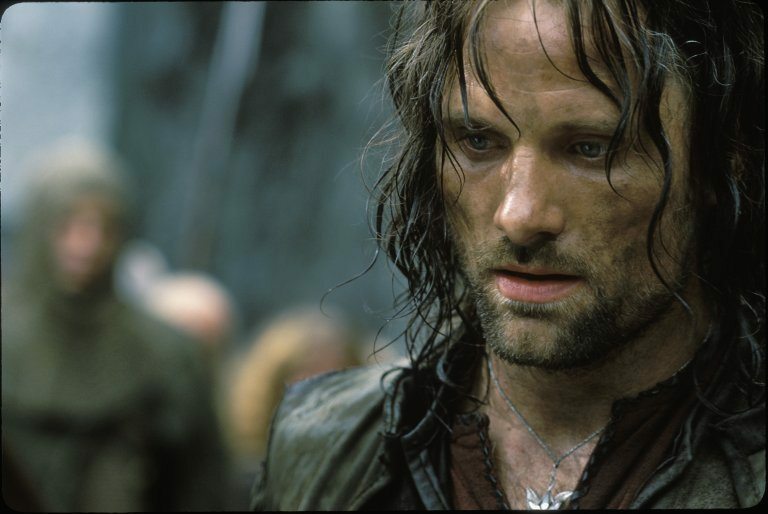 While filming a scene where he kicks an Orc helmet, Viggo Mortensen broke two toes. He didn’t say anything about it until after the shot was done. In another scene, he knocked out a tooth, but asked for it to be superglued back in place so he could finish the scene. 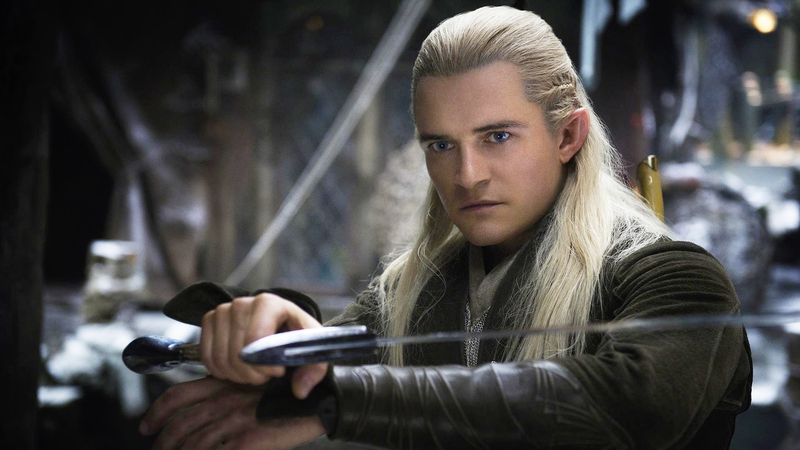 Orlando Bloom (Legolas) was thrown from a horse filming The Two Towers and broke his ribs. He was back to work the next day, but there are plenty of videos of the rest of the cast making fun of him for complaining about the pain! The blade that the Uruk-hai, Lurtz, throws at Aragorn during the final fight scene was a real dagger. It was supposed to miss and hit the tree behind Mortensen, but because the Orc armor impleaded the actors’ mobility it was accidently thrown straight at him. Luckily, the actor was quick enough to deflect it with his sword. 81. Can I have one too? 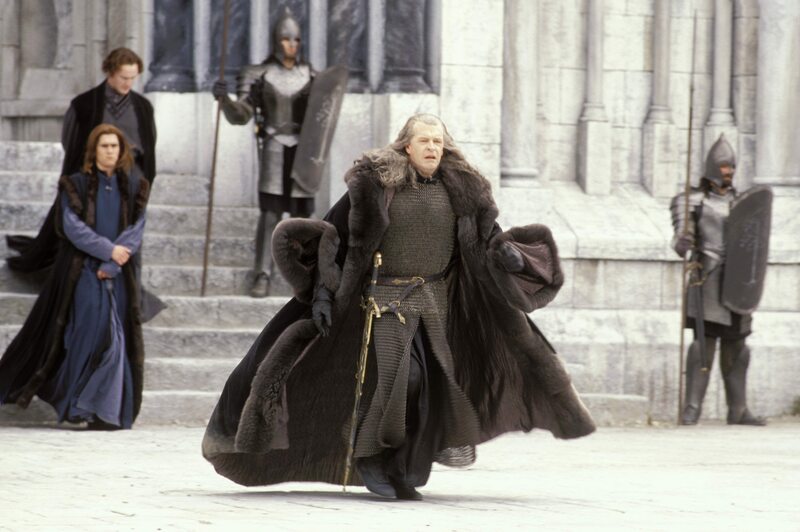 Denethor (John Noble) had a sword attached to his belt, even though though the distraught Denethor never bothers to use it. The prop department gave it to him so that he could feel as important as the rest of the cast who had swords. When Denethor tries to burn Faramir on the pyre, they were unable to actually light a fire because Gandalf’s horse wouldn’t go near it. In order to solve the problem, the crew used a pane of glass placed in front of the camera lens to reflect a real fire and project it into the camera so that it looks as though the pyre burns. 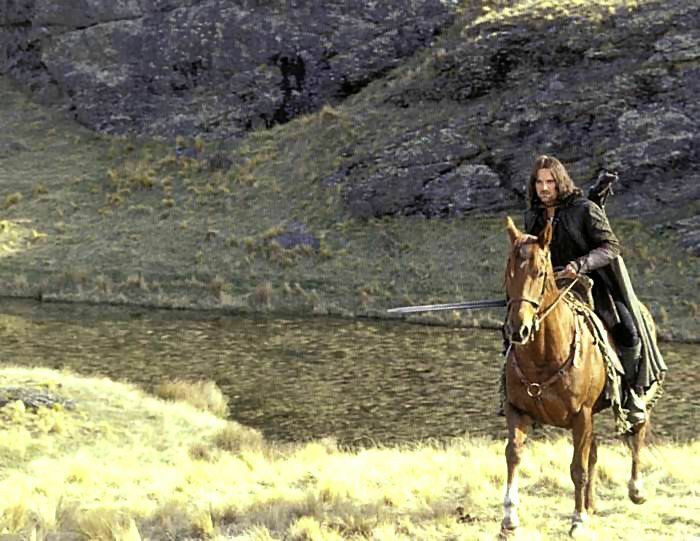 For the scene where Faramir is dragged back to Minas Tirith by his horse, great precaution was taken. 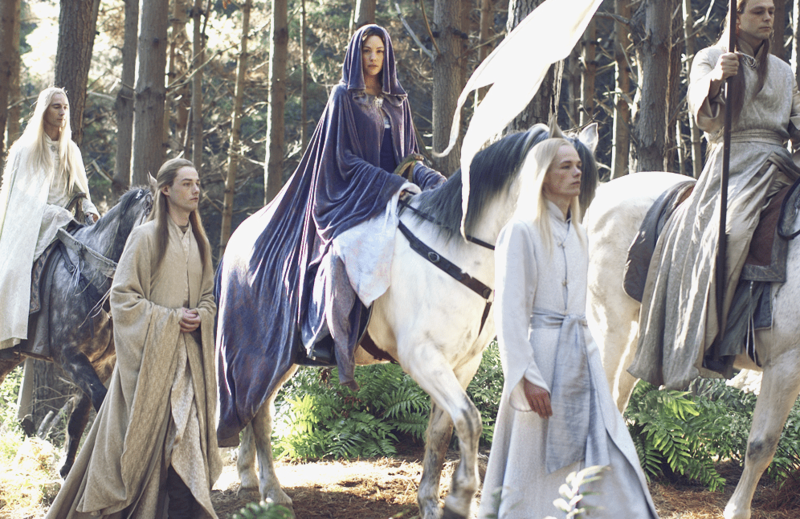 The crew was so worried of the horse suddenly running and hurting David Wenham, they built a release into the saddle. Wenham had a handle in his hand so that if the horse began running, he could release himself. Luckily, they never ended up needing it. Speaking of surprisingly cooperative horses… The scene where Gandalf calls for Shadowfax, who comes galloping across the fields to him, was captured in just one take. 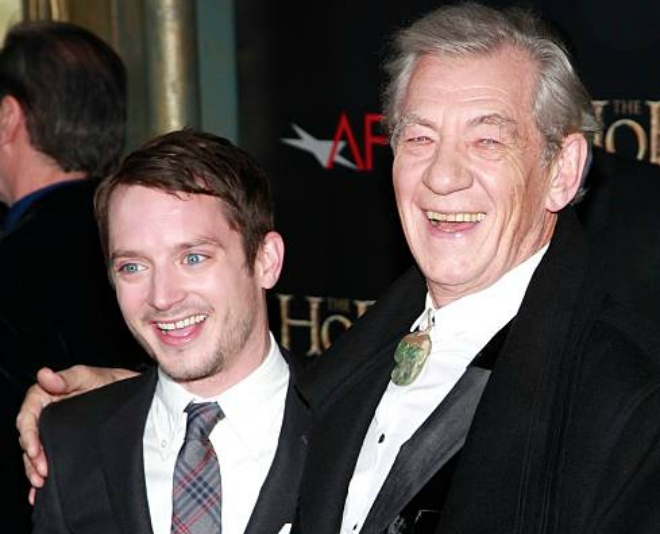 This is proof that Sir Ian McKellen is indeed a wizard. 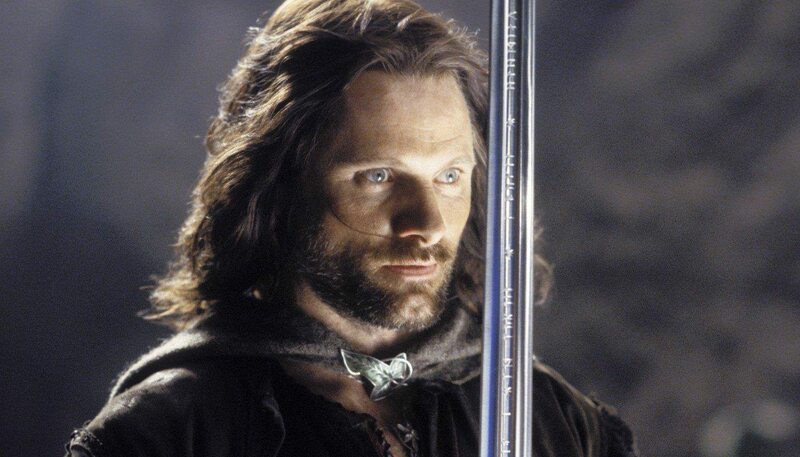 Aragorn died when he was 210 years old. He decided to end his own life because he didn’t want to suffer through the pains of old age and lose his wits, nor did he want Arwen to watch him deteriorate. With this wish, he chose to die before it was actually his time. 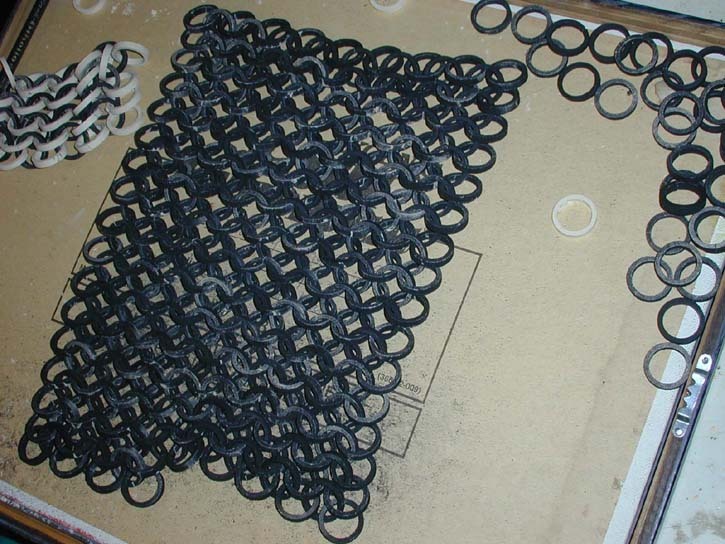 A total of over 12.5 million plastic rings were created to make fake chain mail armor for the movies. Two of the crew were tasked with connecting the rings by hand to help make costumes. 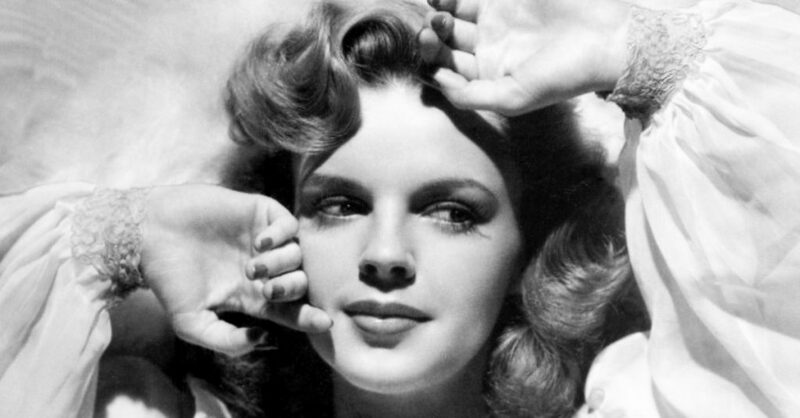 By the end of shooting, they had worn the fingerprints off their thumbs and index fingers. 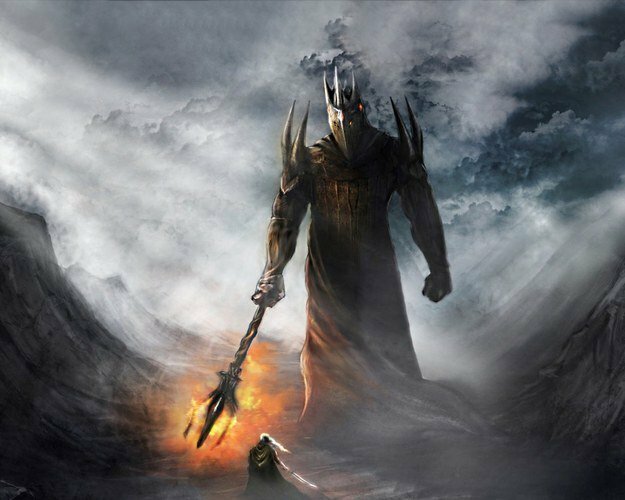 Sauron has gone down as one of the most terrifying and powerful villains in all of fantasy. He tormented Frodo and those who tried to diminish his power over Middle Earth. But most people don’t know that Sauron had a true master whose power absolutely overshadows Sauron’s. Morgoth, the fist Dark Lord was much more terrifying. His other titles included The Great Enemy, The Corrupter, The Black Foe. He was the equivalent of a God. He was the creator of all evil. Every bad thing that happens in the world can be traced back to him. Christopher Lee was one of the first people to be cast for the movies, in part because of his familiarity with the books. He visited the makeup department regularly, and often gave tips about how the monsters should look. 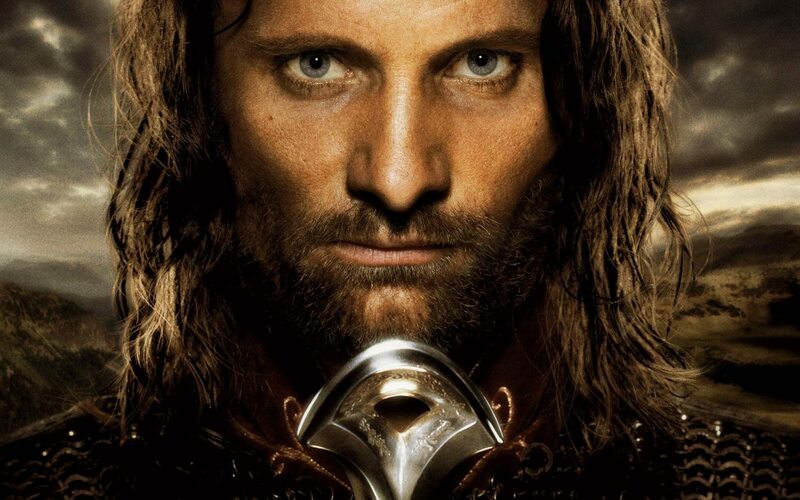 Viggo Mortensen said that he only accepted the role of Aragorn because he wanted to please his son, who was ten at the time and an avid Lord of the Rings fan. Extras that were greater than 6” tall were needed to play the Uruk-Hai but unfortunately they couldn’t find as many tall people as they would have liked. Running out of time, the team had to go ahead with casting shorter extras for pivotal scenes. These diminutive combatants given the nickname the “Uruk-Low”. As well as playing the gruff dwarf, John Rhys-Davies also provided the voice for the Ent, Treebeard. They achieved the voice by having Rhys-Davies read lines in his natural voice at the lowest pitch he could muster while speaking through a wooden megaphone. To render the special effects for Gollum it would often take around six hours for a single shot. WETA (the digital effects studio that worked on the film) would leave the shots over night to render and check the results in the morning. Every so often there would be a glitch resulting in the team waking up to find pretty hilarious results. In one instance, every hair on Gollum’s head standing straight up as though he had just discovered what hair gel was. Another time his eyes would pop in and out of his head when he spoke. If that’s not horror, I don’t know what is. 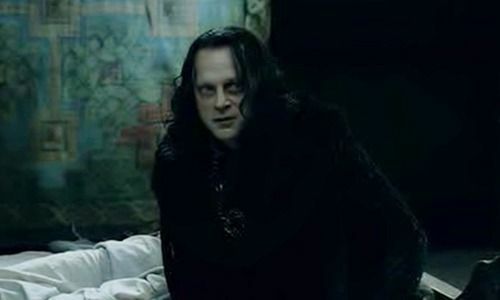 In the scene where Grima Wormtongue sees Saruman’s army of Uruk-Hai, he becomes so shocked that he sheds a tear from one of his eyes. This was actually unscripted and Brad Dourif can do this on command. Orcs have black blood. 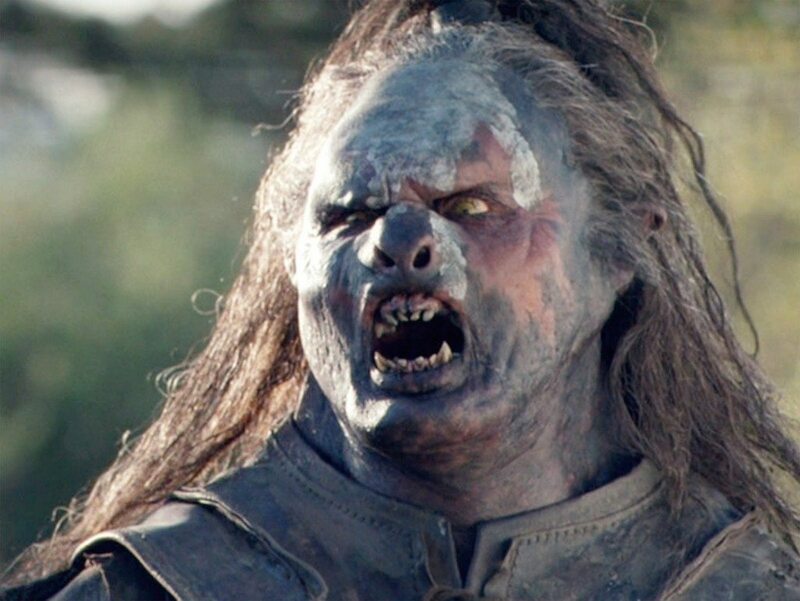 Peter Jackson decided that the actors playing Orcs should have black flesh and saliva as well. In order achieve this, the actors playing Orcs had to rinse their mouths with black liquorice mouthwash before every one of their scenes! Tasty! 97. A very trusted wizard indeed. 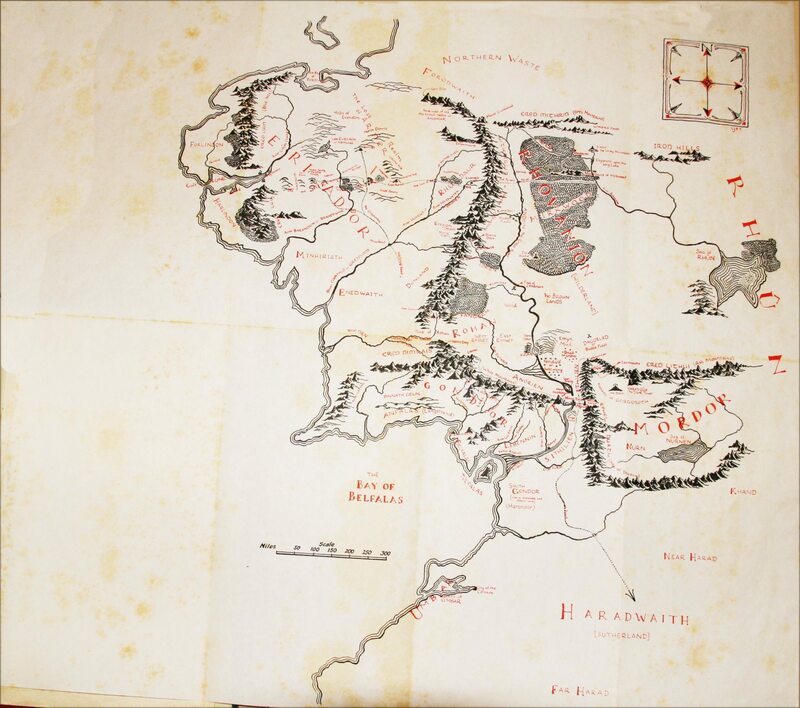 Faramir and Madril observe a map in the film that is used in the original books and was drawn by J.R.R. Tolkien’s son, Christopher. To keep his voice and throat lubricated for his harsh vocal performance, Andy Serkis drank bottles of what he called “Gollum Juice”. 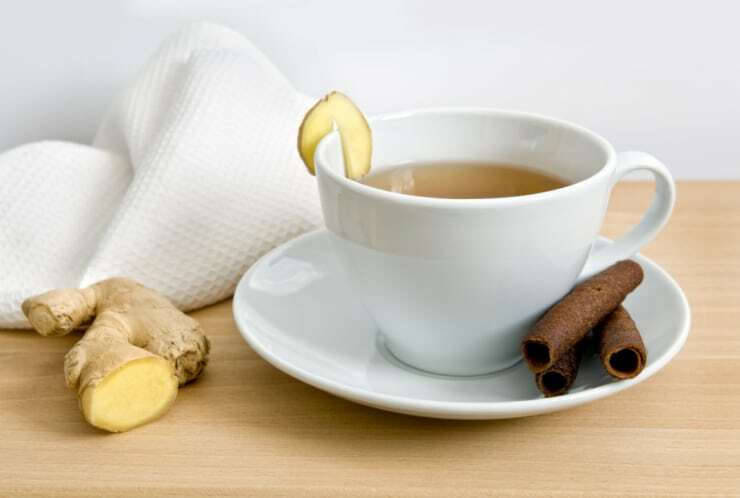 To make Gollum Juice you will need honey, lemon, ginger, a touch of love, and a dash of precious. Most of the members of the Fellowship tried their hand at surfing in their free time. 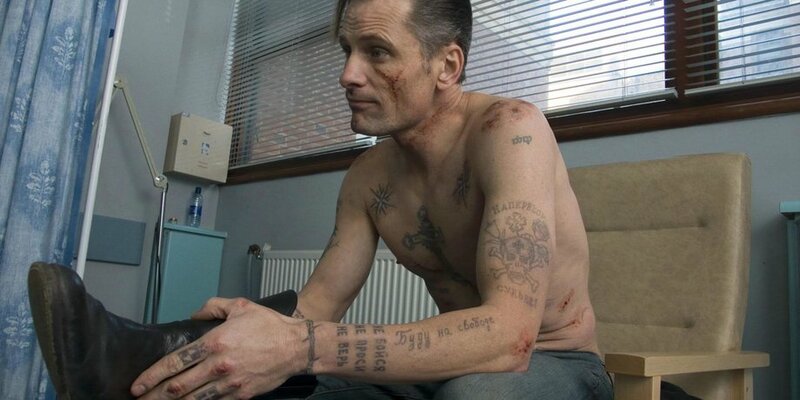 During one unlucky run, however, Viggo Mortensen managed to fall and bruise his face. Makeup couldn’t cover up all of the darkened skin in time, so for the entire Tomb sequence in Moria,Bre Aragorn is only seen from one side. Bernard Hill, who plays Theoden the king of Rohan, met a woman who told him about one of her children who had passed away and how parents shouldn’t have to bury their child. The moment resonated with Hill so much that he requested to have the iconic line “No parent should have to bury their child” put into the script. 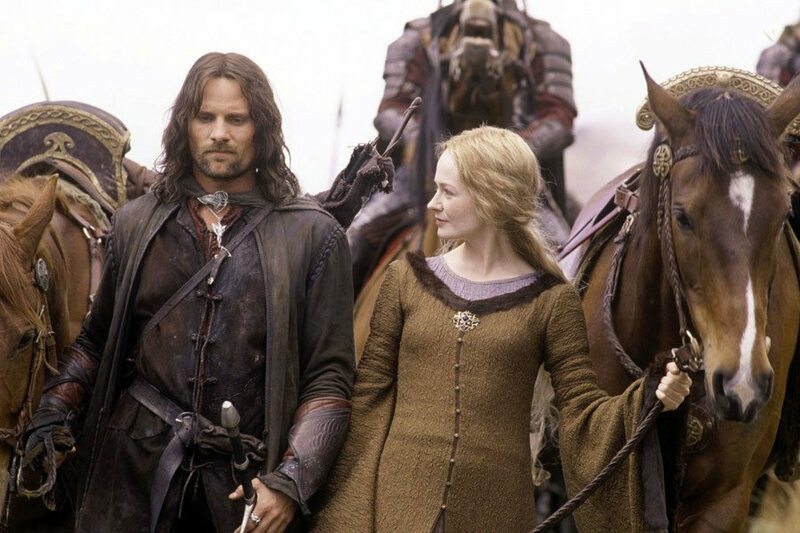 Viggo Mortensen formed such a strong bond with the horse he rode on set (named Brego) that he purchased him from the owners once filming had wrapped. That’s one way of thanking Brego for saving him from the river after the warg rider fight. 105. A bloody good prank! In the scene where Gollum is eating a whole fish, Andy Serkis is actually snacking on a fish shaped lollipop. 108. More women on set! The Battle of Helms Deep was only shot at night and took four months to film. 112. Is The Hobbit canon? 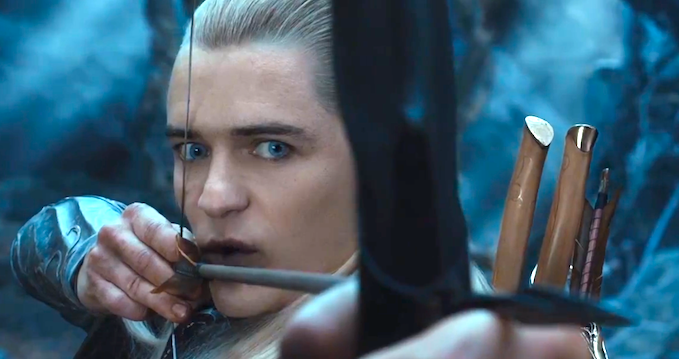 Tolkien didn’t write Legolas into The Hobbit, but its screen adaptation adds him into two of the three films. 113. A bigger budget for a shorter tale. 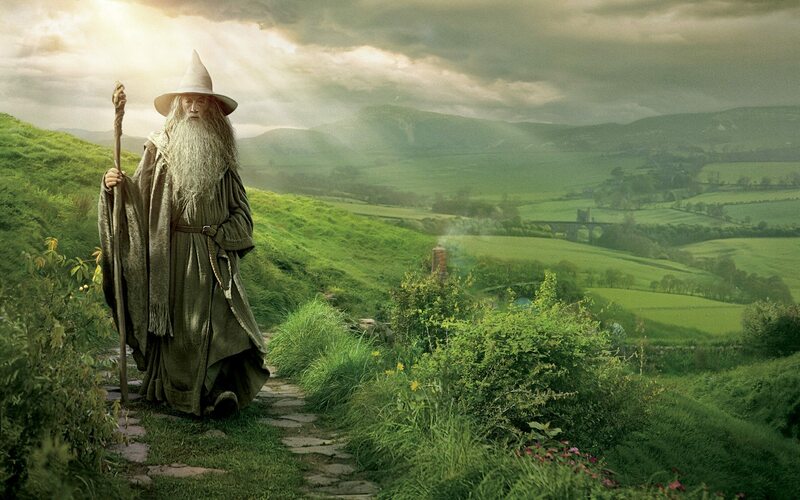 The budget for the first two “The Hobbit” movies is almost twice the budget of the entire Lord of the Rings Trilogy. The production of all three movies in the trilogy used over 200 horses… and because most scenes involving them were action-packed battle scenes, the horses were in danger of being hurt. To mitigate the risk, both horses and riders were fitted with motion capture suits and were filmed in studio doing actions like galloping and rearing. They were then digitally inserted into battle scenes so no horses (or riders) were hurt. 115. The best job, or the worst job? All of the dead horses seen at the end of battle scenes are made of polystyrene. Next time you think you have a weird job, just remember that someone had to spend a month making dead horses. Aragorn’s costume changed slightly for The Two Towers. In this sequel he wears the leather Gondor gauntlets that Boromir wore before he fell in combat. In the scene where Sam is cooking rabbits, Gollum spits in disgust. It is actually Andy Serkis’ own spit flying through the air. Confirming the notion that all men are really 12 forever, Serkis has said that this was his favorite scene from the trilogy. 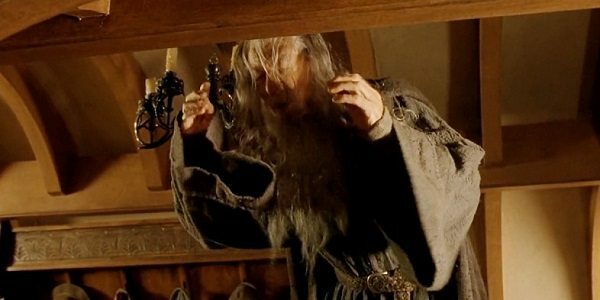 The scene where Gandalf hits his head off a beam in Bilbo’s house as not originally in the script. Ian McKellen knocked his forehead on the beam by accident. 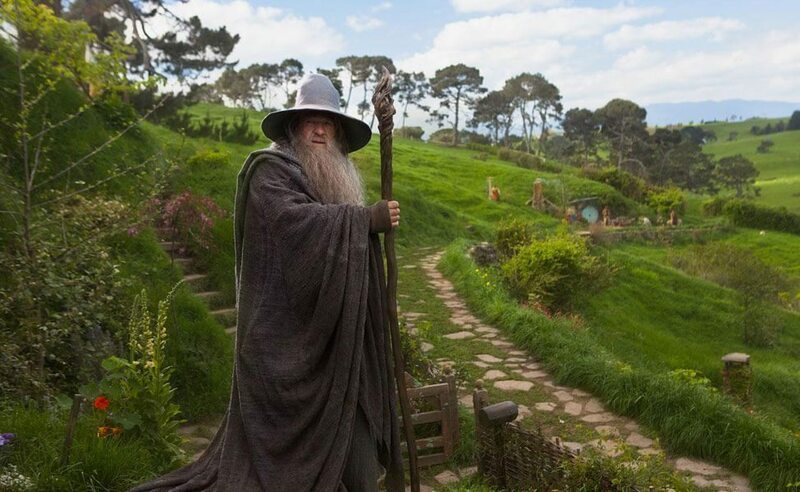 Peter Jackson thought McKellen did a fantastic job “acting through” the gaffe, and so he kept it in the final cut. Not all movie magic is CGI. Treebeard, for example, was actually an animatronic puppet that was 14 feet tall. Bloom found the blue-tinted contacts lenses he wore as Legolas uncomfortable, so you may notice his eyes are Bloom’s natural shade of brown in some scenes throughout The Lord of the Rings. Boromir’s speech at the Council of Rivendell was read from a sheet of paper sitting on Sean Bean’s lap because he had only received his lines for it the night before. 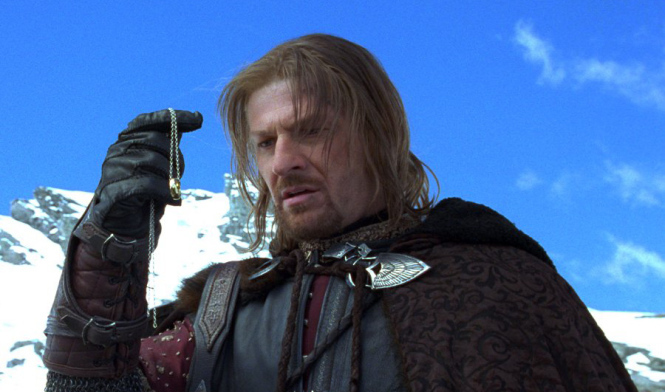 Sean Bean claims he has no memory of being in New Zealand on the day they shot the scene. He says that Boromir must have been put in digitally. 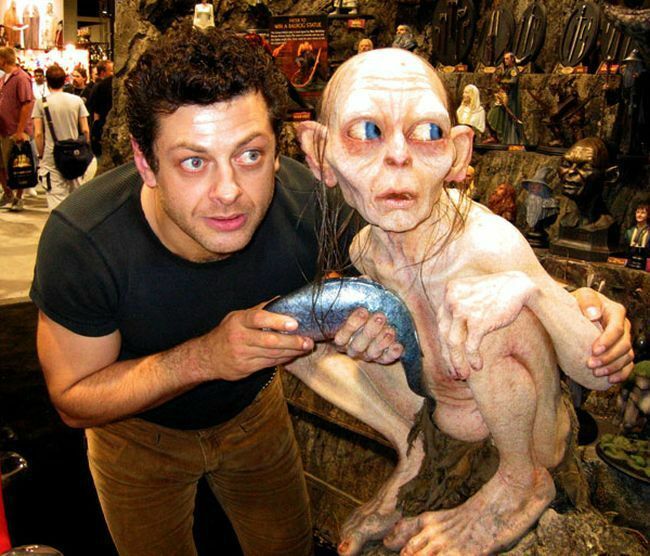 It was Andy Serkis’s idea to have Gollum sing while catching fish in the Forbidden Pool. 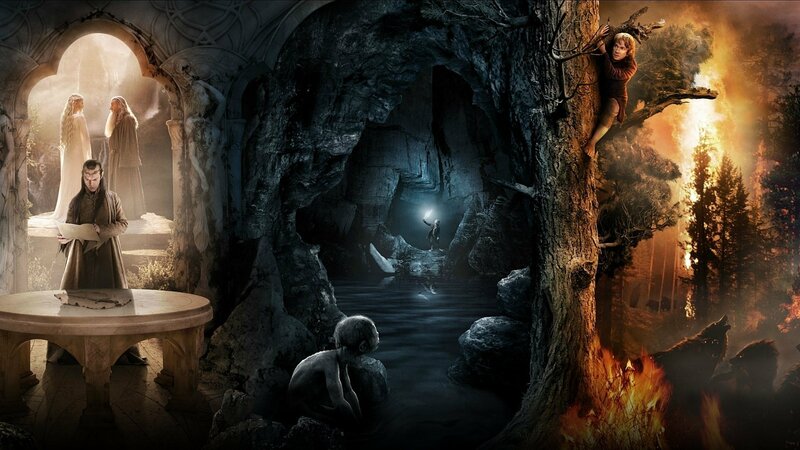 The song is based on a poem from Bilbo and Gollum’s riddle contest in The Hobbit. 124. And a Director too?? The Elvish lines used in the films are not simply quoted straight from the novels…. they were copied from J.R.R. Tolkien’s own dictionary of the language. 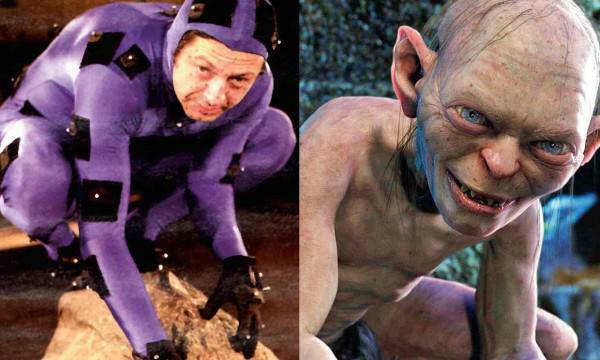 When Andy Serkis was told about the role of Gollum, his agent thought it would be a simple three weeks of voiceover work in New Zealand. Peter Jackson was so blown away by his audition that he gave him extra responsibilities: capturing the movements of Gollum/Smeagol too. 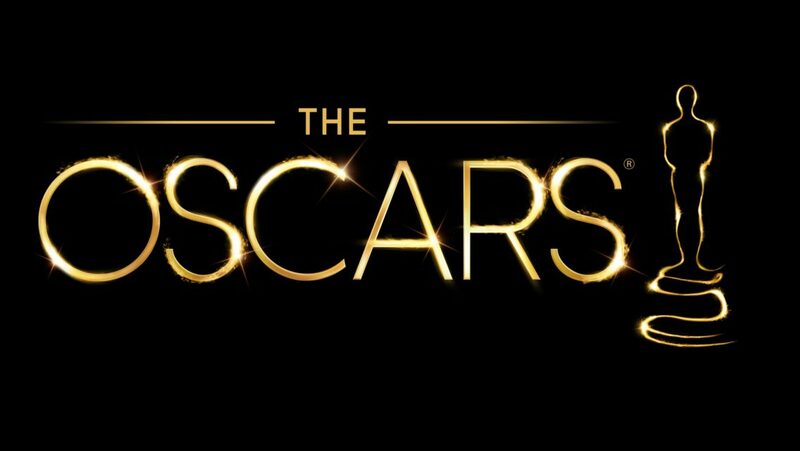 Unfortunately Serkis was considered “ineligible” for the Best Supporting Actor Oscar in the 2003 Academy Awards, because Gollum was computer animated. 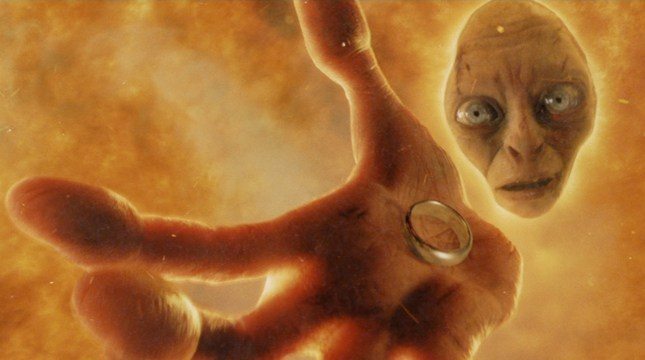 Once shooting for the trilogy was finished, Peter Jackson gave one of the rings used in the movies to Elijah Wood… and another to Andy Serkis. Both Wood and Serkis thought they had the only one. If either of you are reading this, sorry to break the bad news. 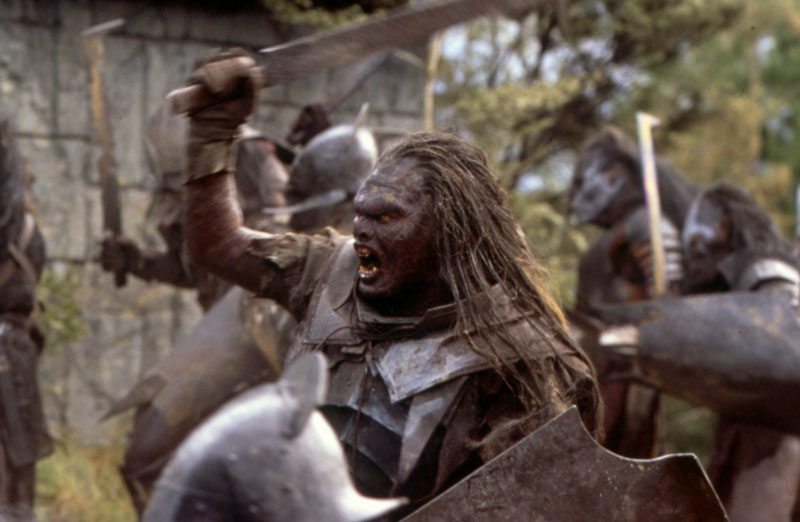 Signs such as matted hair and blotchy skin are used on the Uruk-Hai to show that they are inbred creatures already beginning to fall apart. 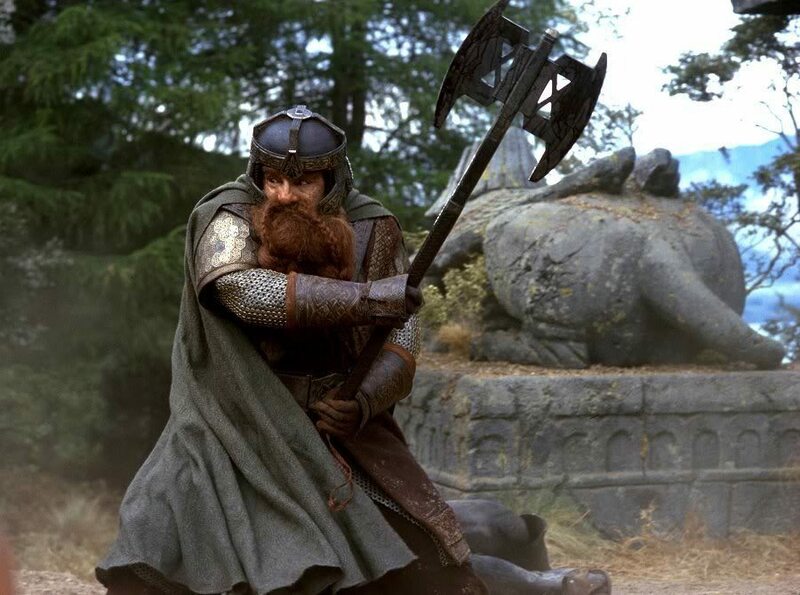 The armour that John Rhys-Davies wore for Gimli weighed around 30kg (66lb). When the Riders of Rohan surround Aragorn, Legolas and Gimli, three or four cameras were used at the same time to get the most realistic shot. They filmed continuously for the entire sequence from the moment the riders arrive until after they ride away. 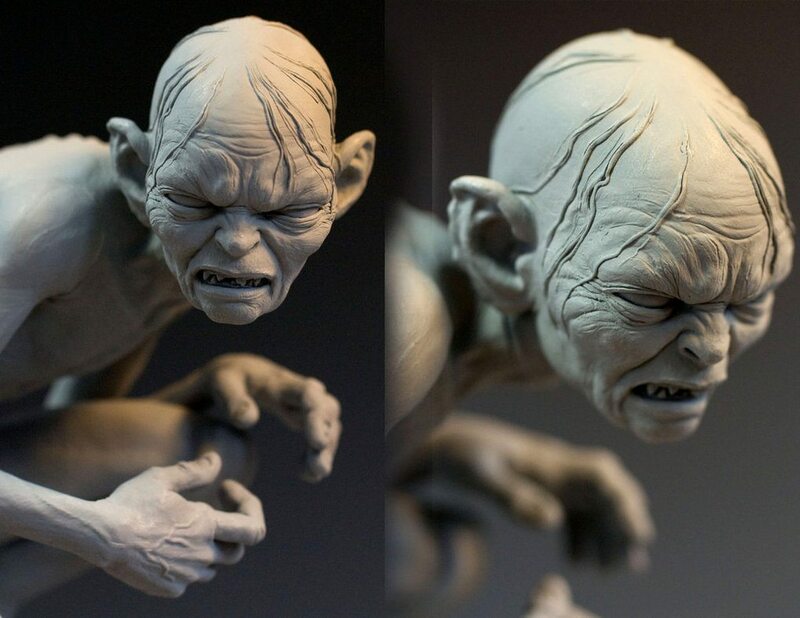 Designing Gollum took over 100 maquette sculptures and 1000 drawings before he was just right. 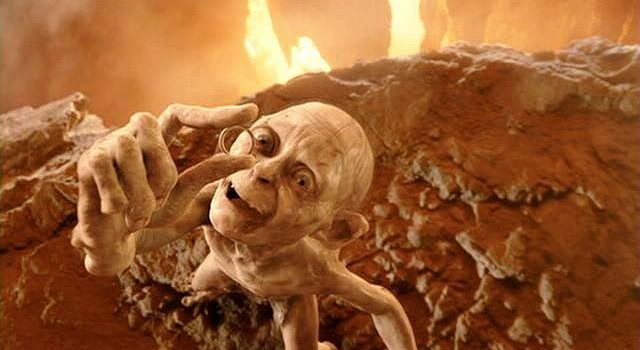 The film crew on The Lord of the Rings spent about eight minutes rendering each single frame of Gollum’s animation. Although that might seem like a lot, it took much longer to render one frame of the character Treebeard: two days. Kate Winslet was initially offered the role of Eowyn. 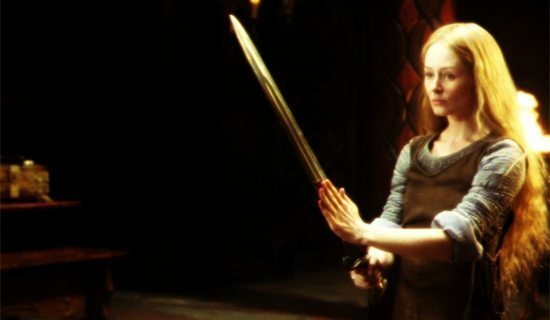 Miranda Otto (Eowyn) was gifted one of Eowyn’s dresses and her sword. 140. I’m sorry, Arwen. Your dress is terminal. 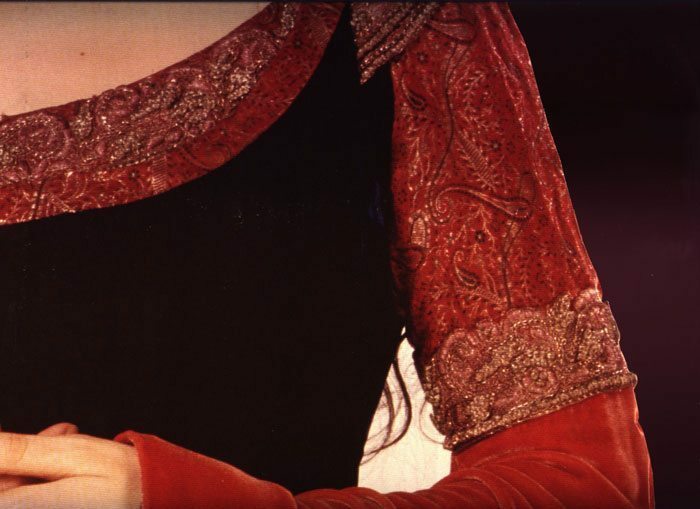 The gift Liv Tyler (Arwen) received was Arwen’s “dying dress”. 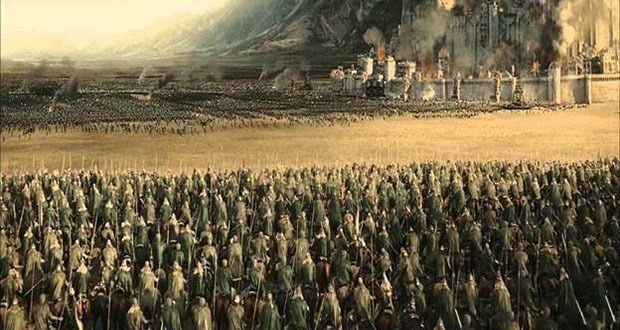 While Legolas talks to Aragorn before the Battle of Helm’s Deep he speaks of 300 against 10,000. This is a reference to famous Spartan battle at Thermopolyae where a few Spartans held off a massive Persians invasion. David Denham (played Faramir) would star in the theatrical epic “300” based on that same event. Miramax was the first studio to express an interest in Peter Jackson’s interpretation of the books but they wanted to do it all in one film. Jackson refused, and thank goodness he did! 143. If You Ain’t First, You’re Third. The Two Towers was the first sequel to be nominated for a “Best Picture” Academy Award when the first film didn’t win the award, and is the third sequel ever to be nominated. 144. That’s all of them, ladies and gentlemen. 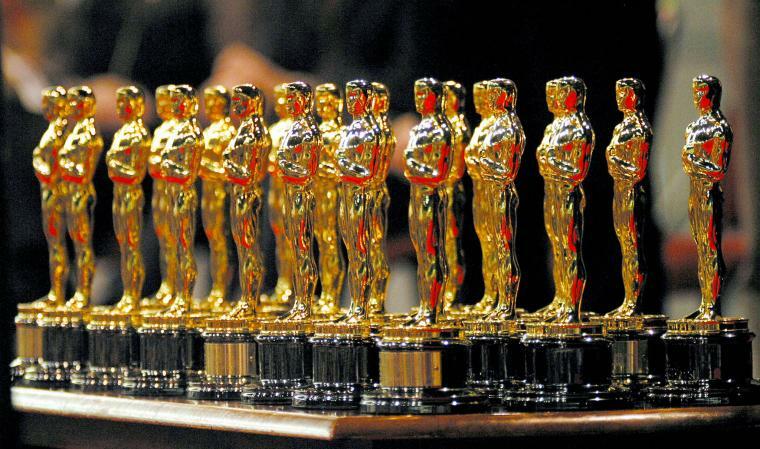 Each Lord of the Rings film scooped multiple Academy Awards. 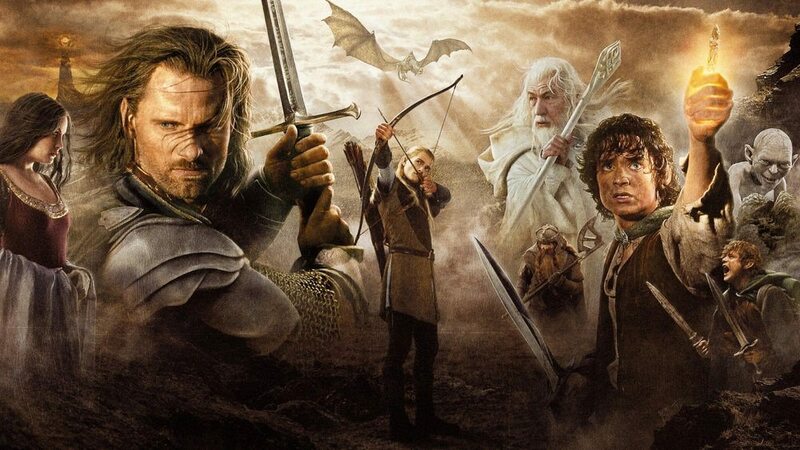 The Return of the King won a whopping eleven Oscars, winning every single award it was nominated for. 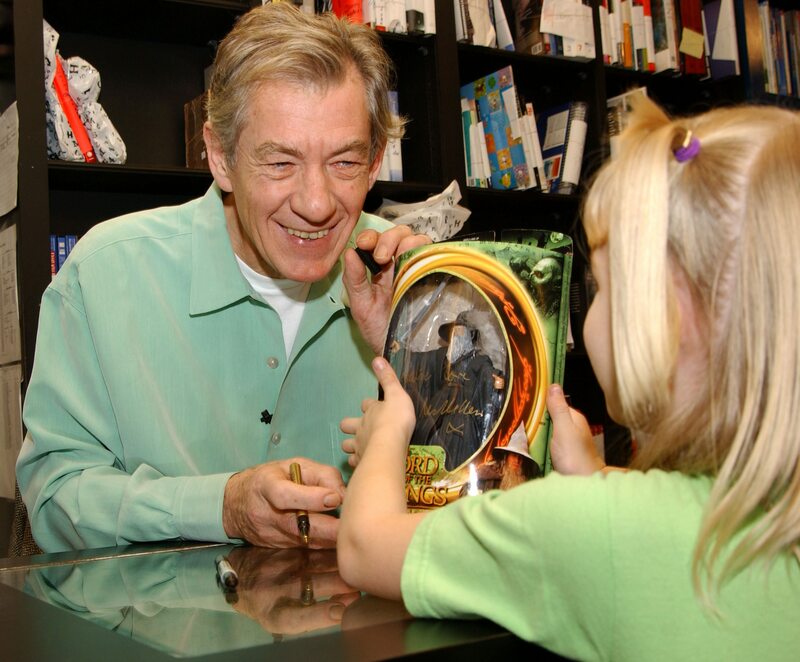 In the films, actor Sir Ian McKellen (who played Gandalf) based his mannerisms and speech patterns on J.R.R. Tolkien himself. Tolkien’s daughter said that she believes her father’s description of the Dead Marshes, a treacherous bog littered with thousands of corpses, is actually a description of his experience in World War I.
Quiz: How Well Do You Know The Internet? Quiz: How Much Do You Know About Friends?